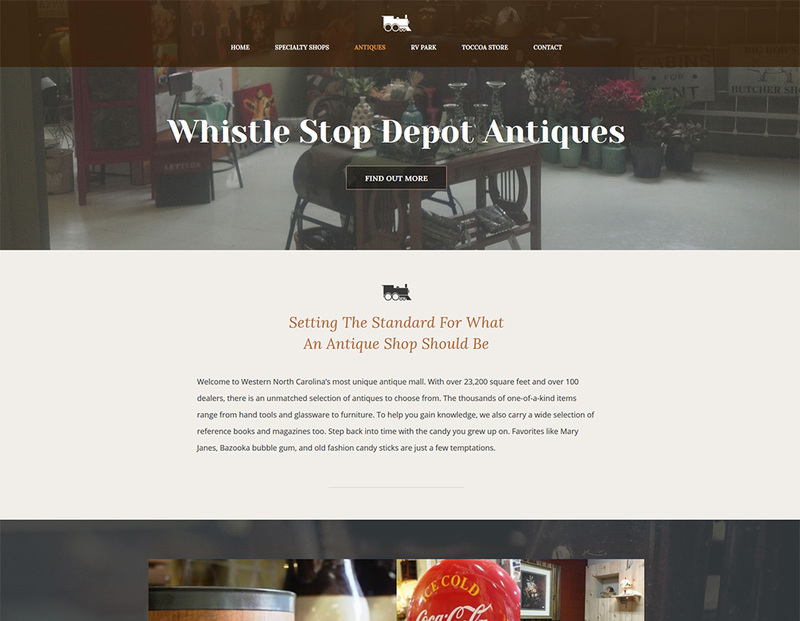 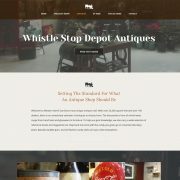 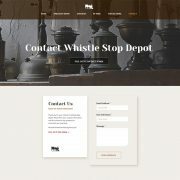 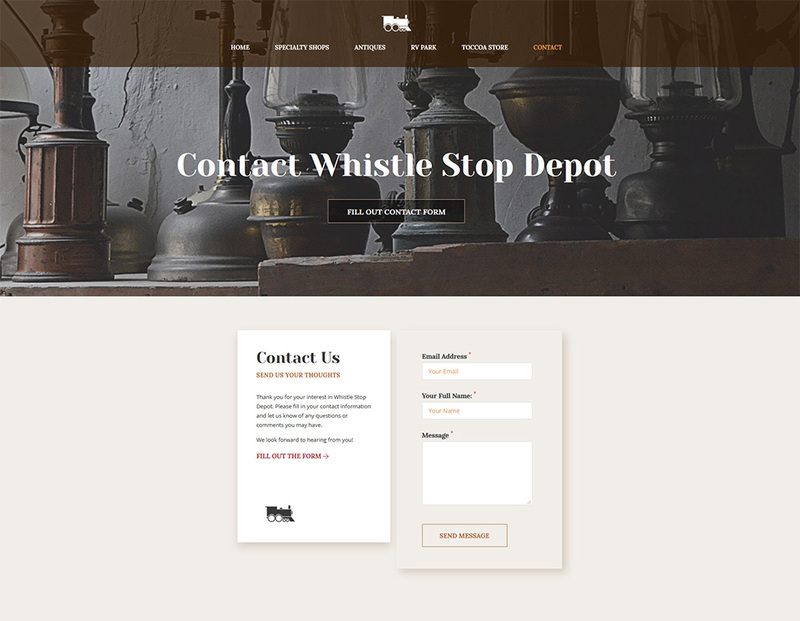 Whistle Stop Depot needed a new web presence. 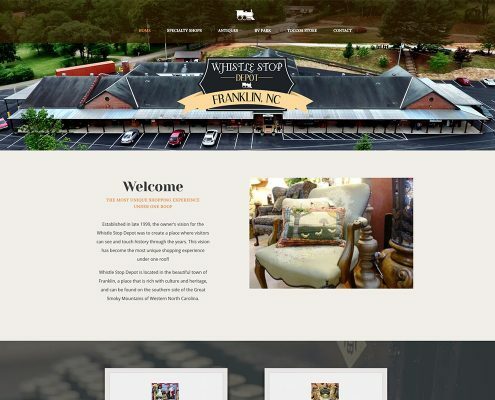 They needed the freedom to add images and text for their each of their stores. 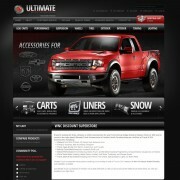 We designed and developed a mobile-ready website that gave them the ability to makes updates at their convenience. 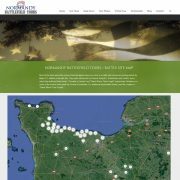 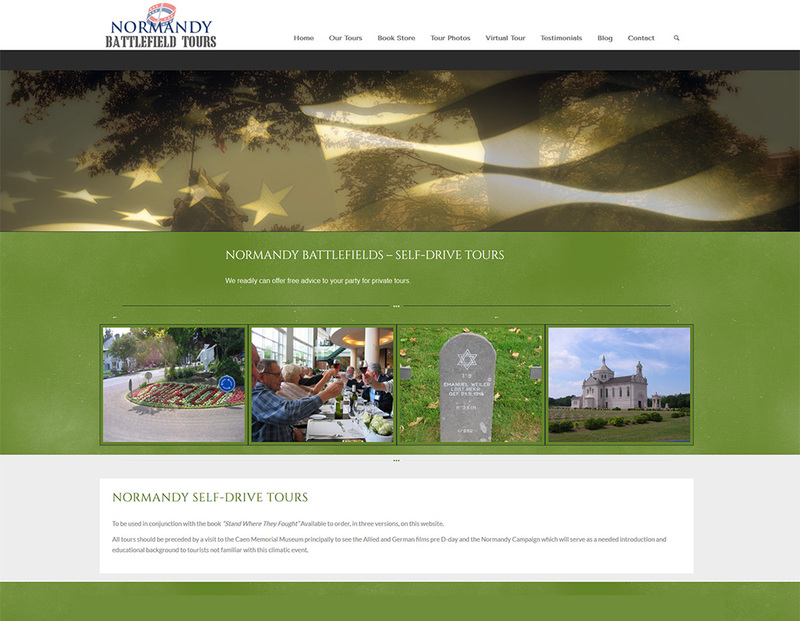 Normandy Battlefield Tours had an older website that was not optimized for mobile viewing. 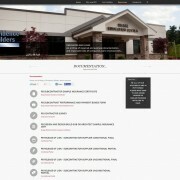 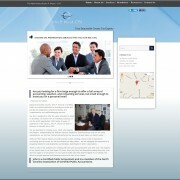 They needed an updated website design that would display well on all mobile devices. 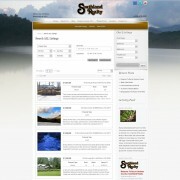 They also needed a way to easily make blog posts and update their tour details and schedule. 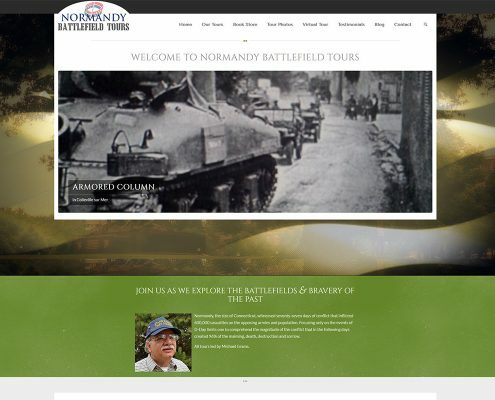 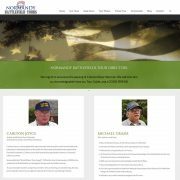 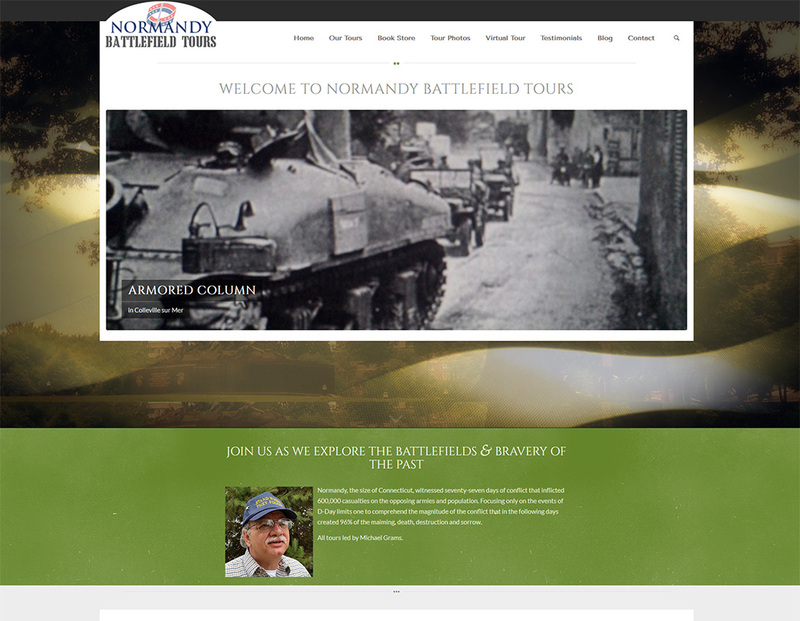 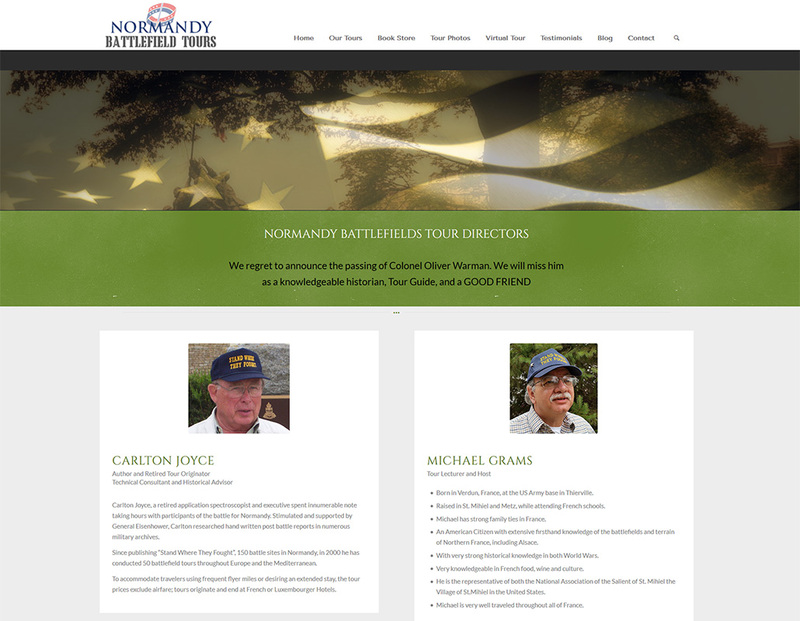 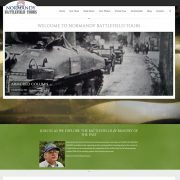 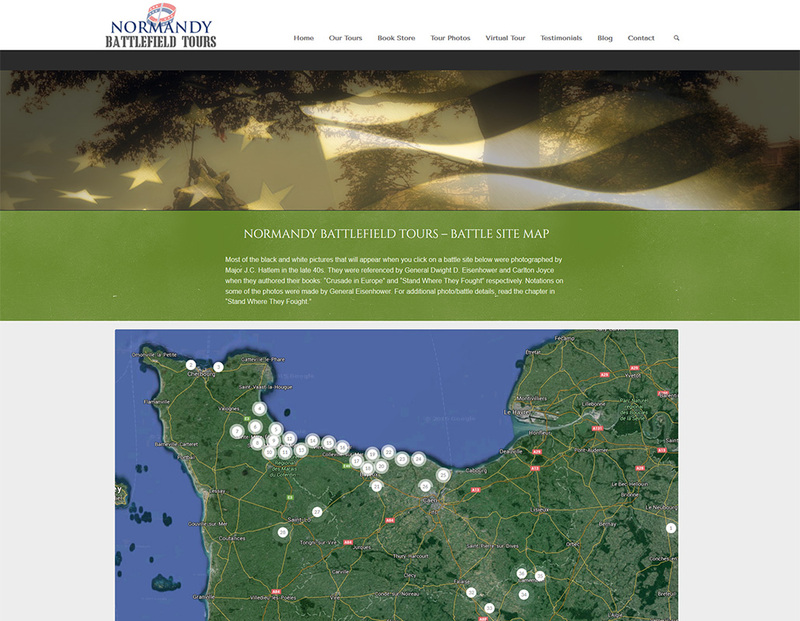 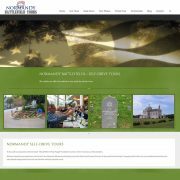 We built Normandy Battlefield Tours a new CMS website that allowed for easy updates as well as mobile-ready display. 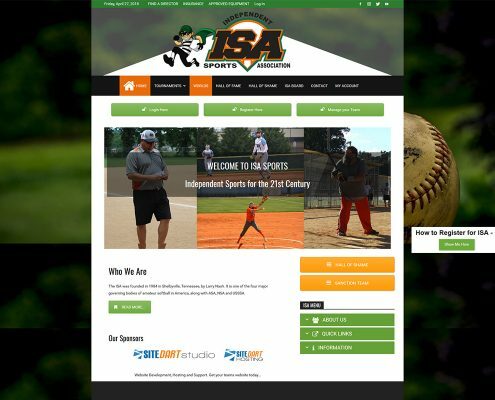 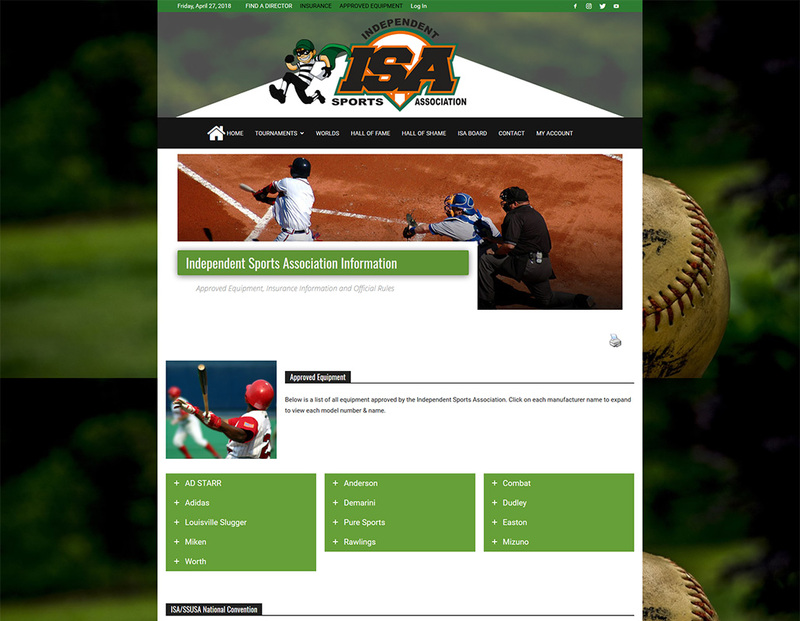 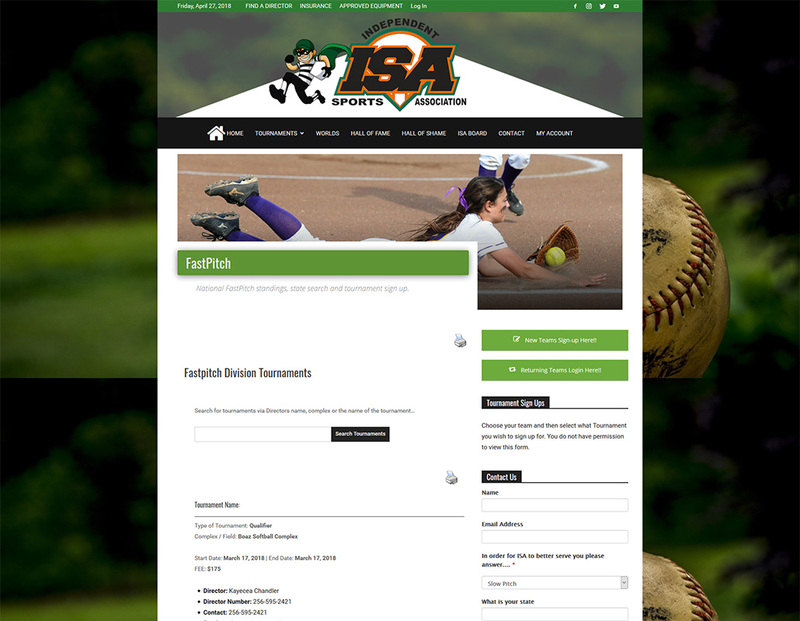 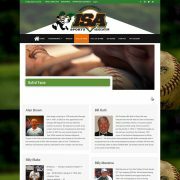 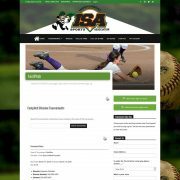 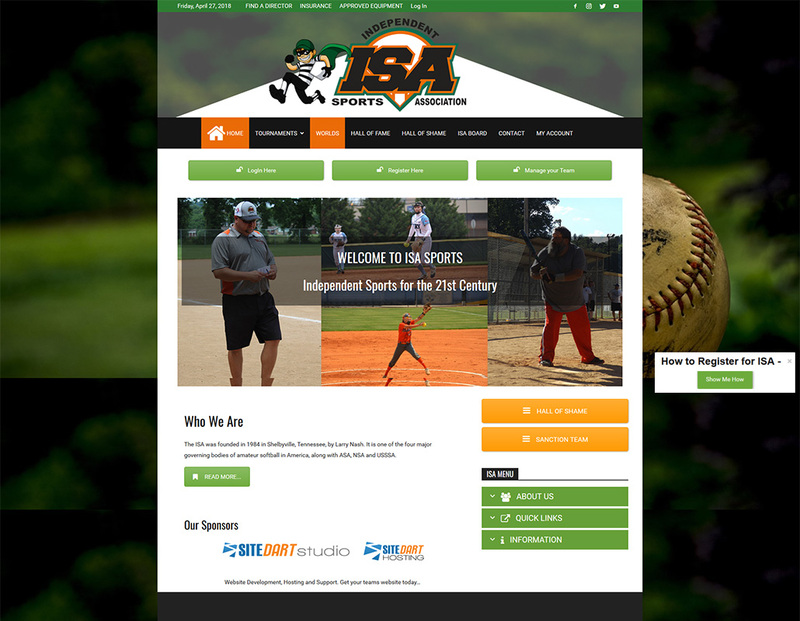 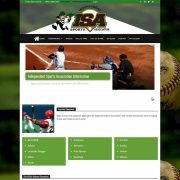 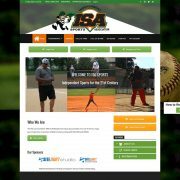 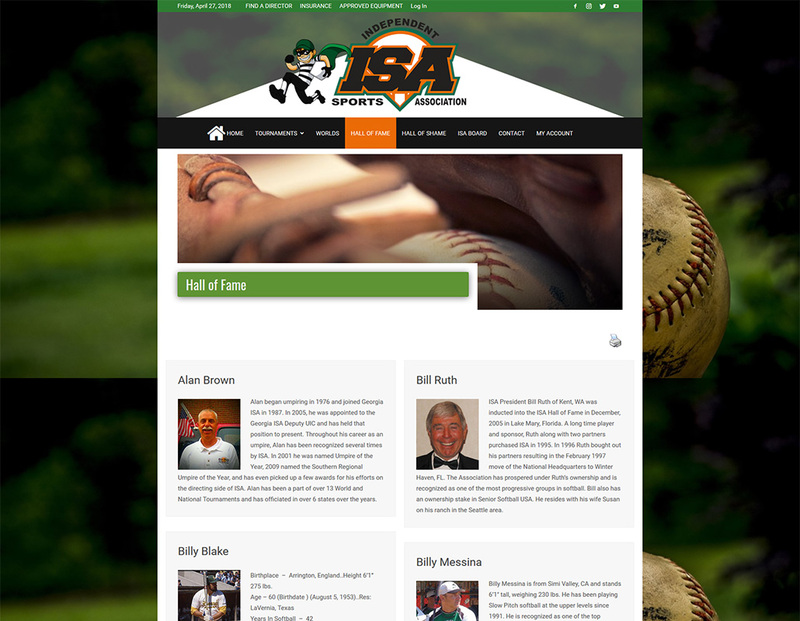 Independent Sports Association had an older website that was difficult to update. 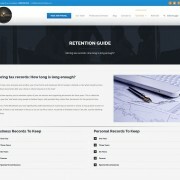 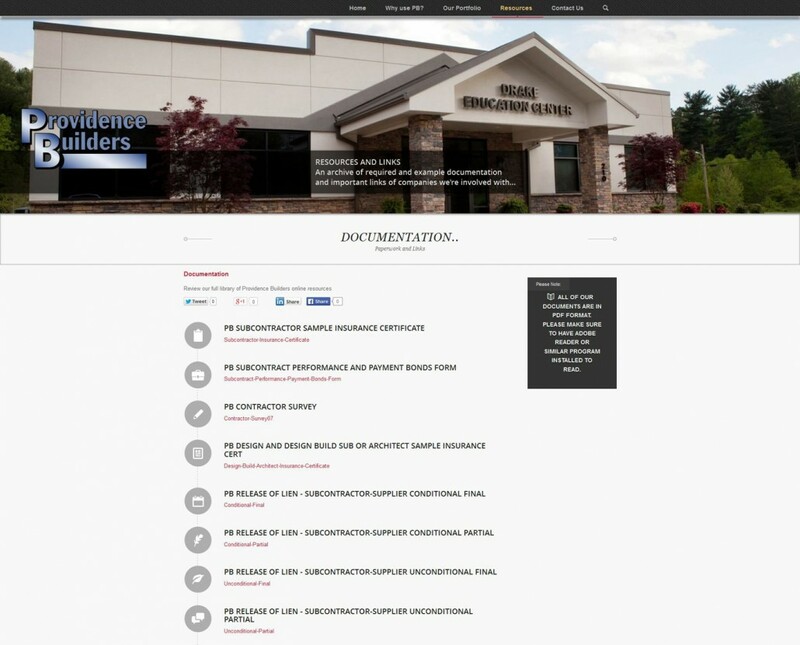 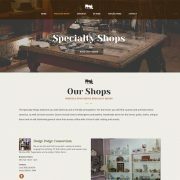 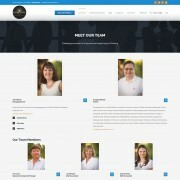 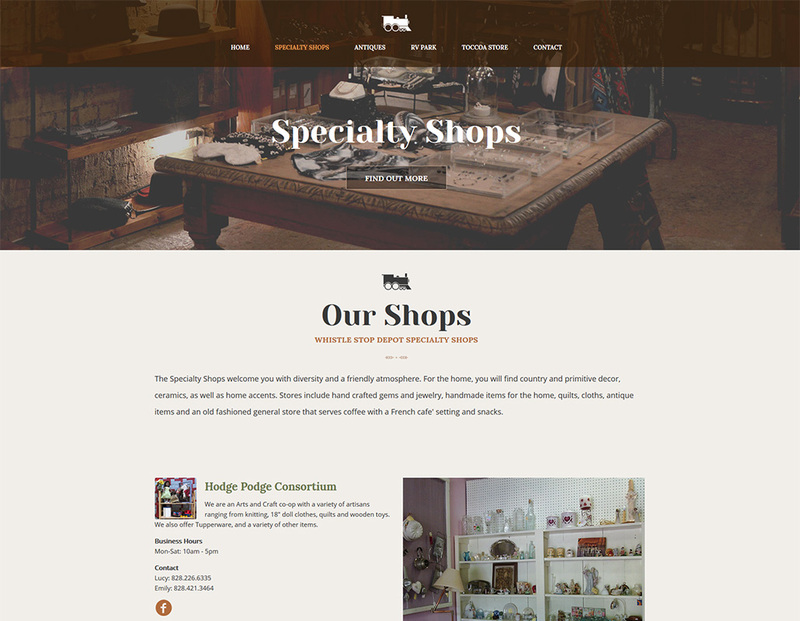 They needed a streamlined way to edit their website and manage their teams online. 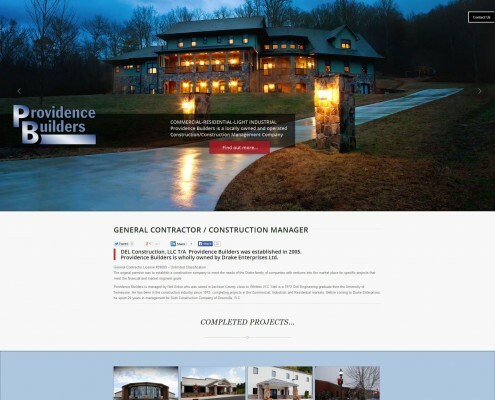 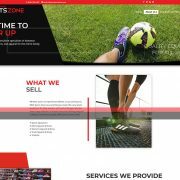 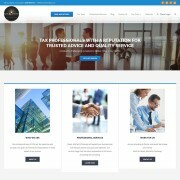 We redesigned their website and mascot, and developed a CMS website capable of managing all site updates and team administration from one control panel. 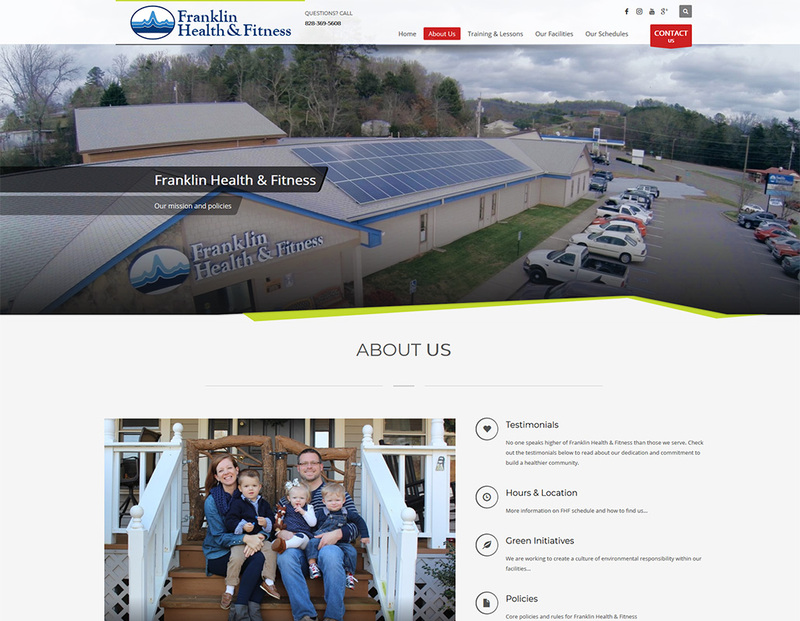 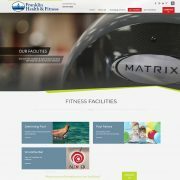 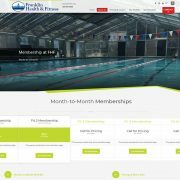 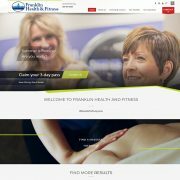 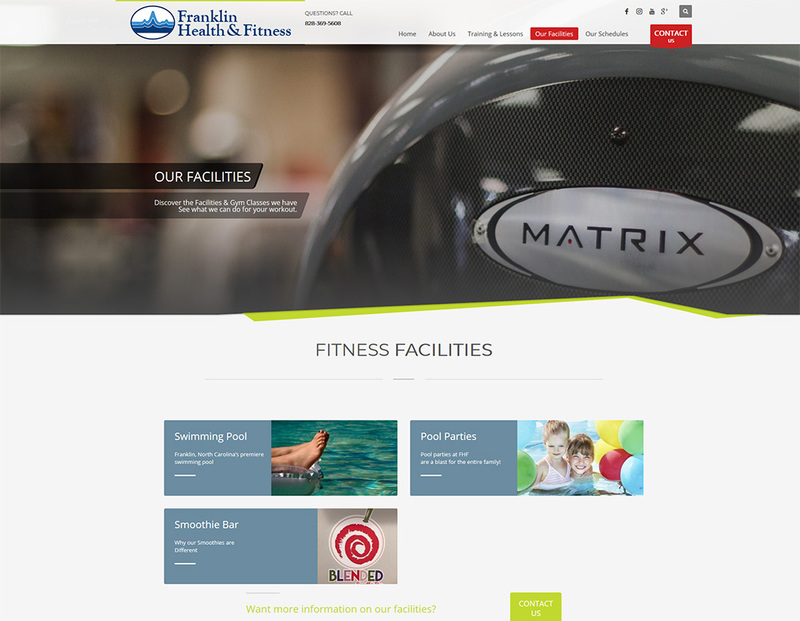 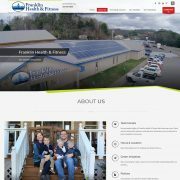 Franklin Health & Fitness needed an updated website that would display properly on all mobile devices and desktop views. 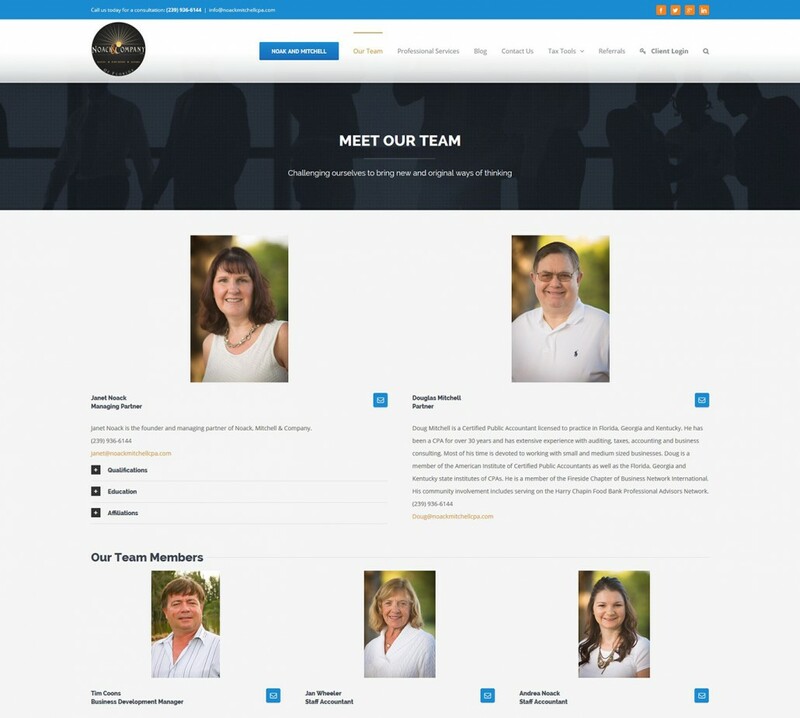 They also needed a website that their staff could update themselves. 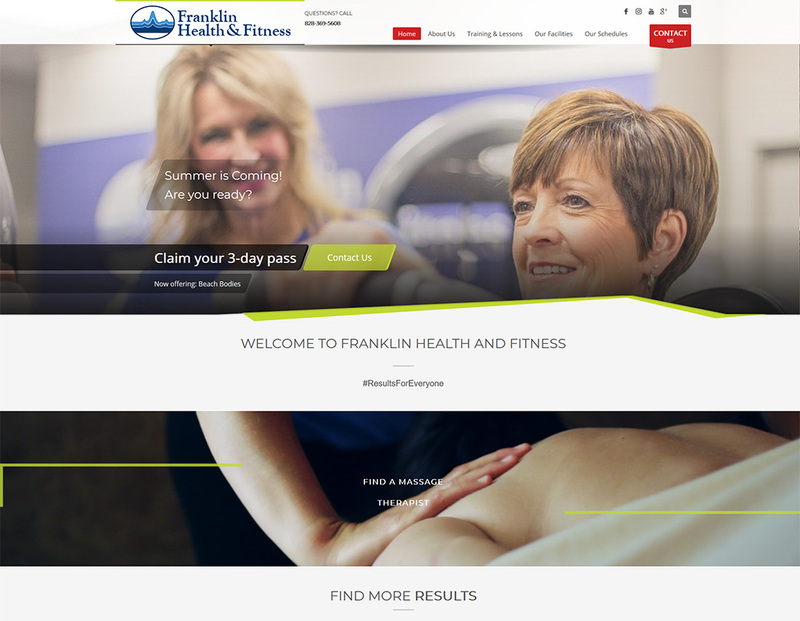 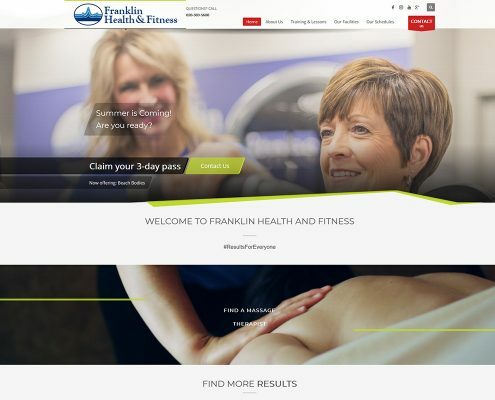 We designed and developed a mobile-ready CMS website that gave Franklin Health & Fitness staff the ability to make regular updates on their schedule. 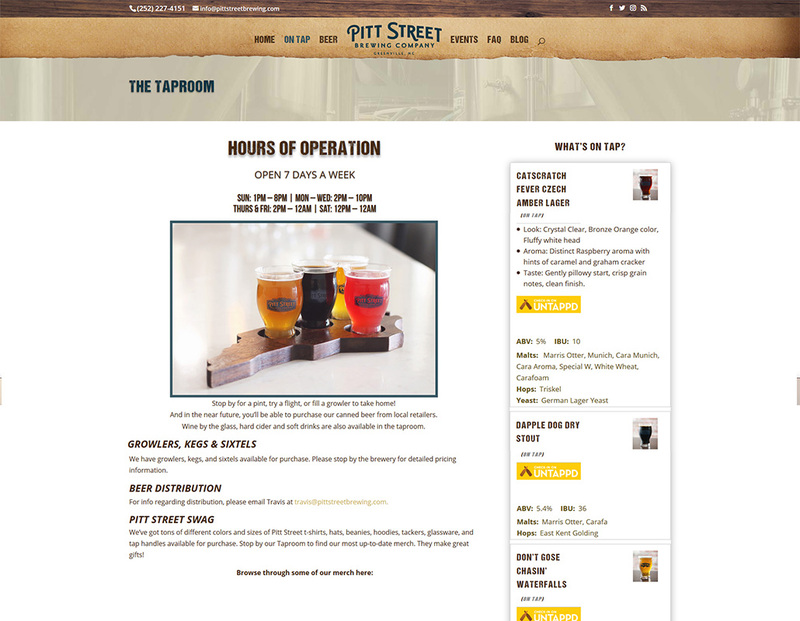 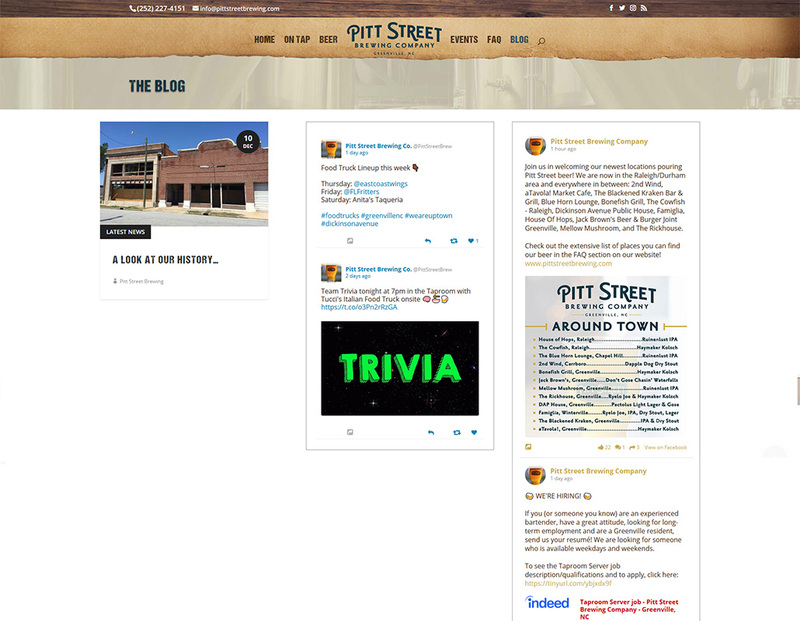 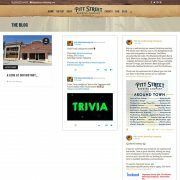 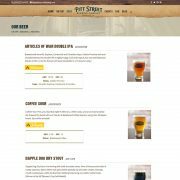 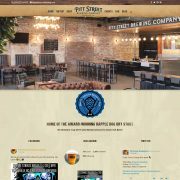 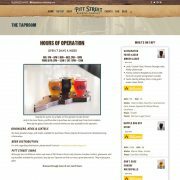 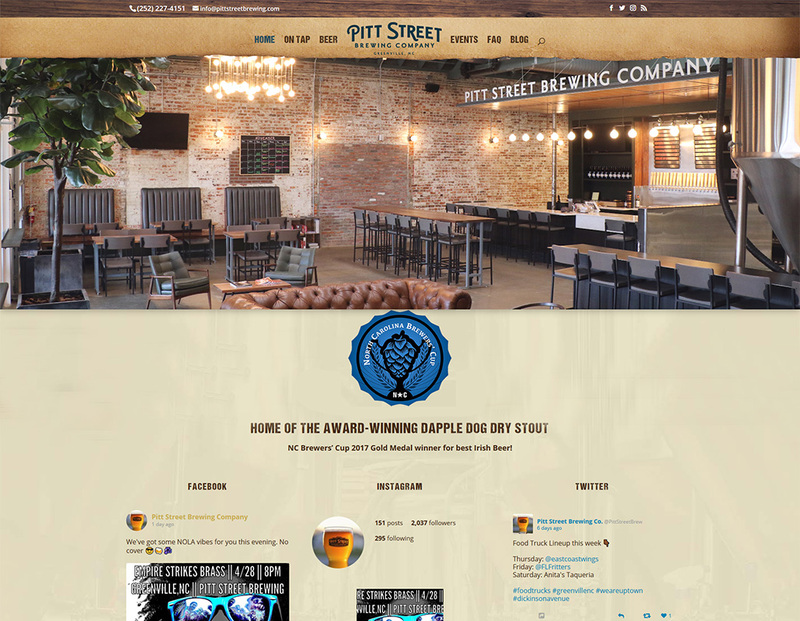 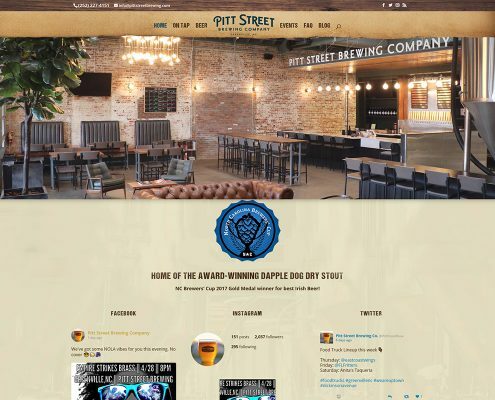 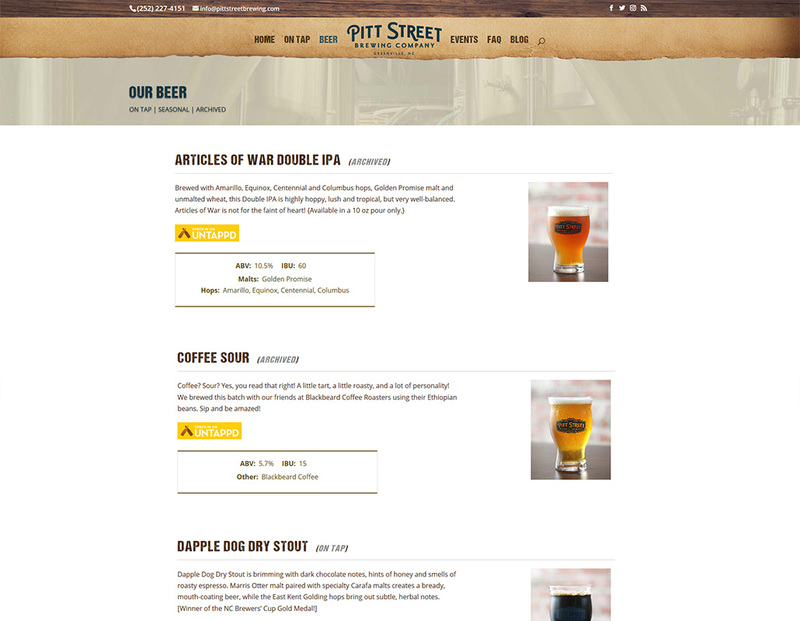 Pitt Street Brewing was a new brewery that had zero web presence. 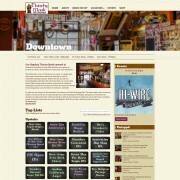 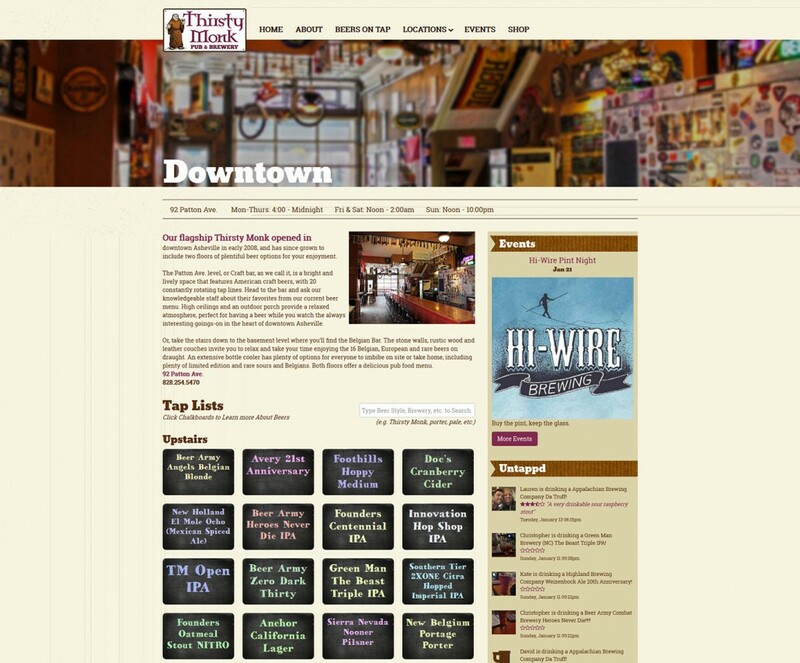 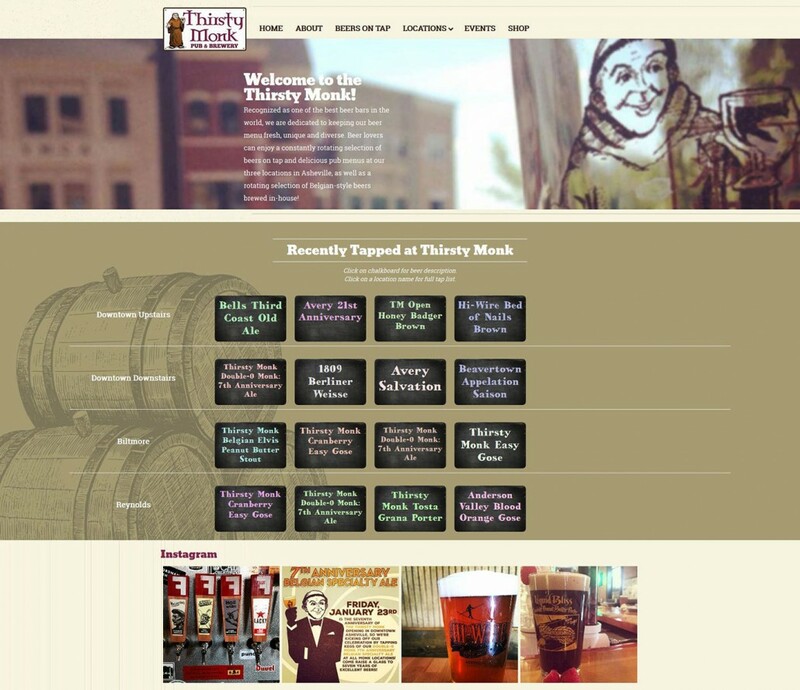 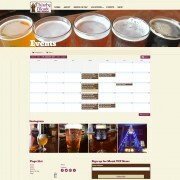 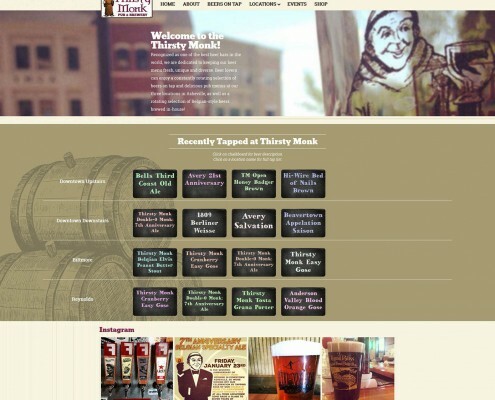 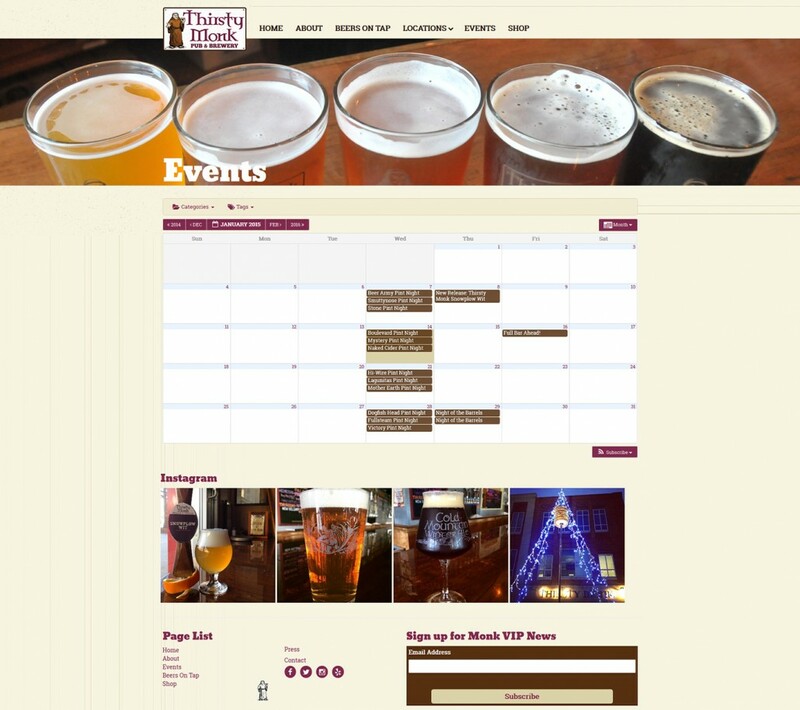 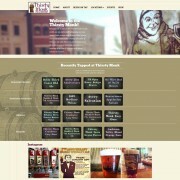 They needed a mobile-ready website that could easily be updated to show new events, blogs, and new beers on tap. 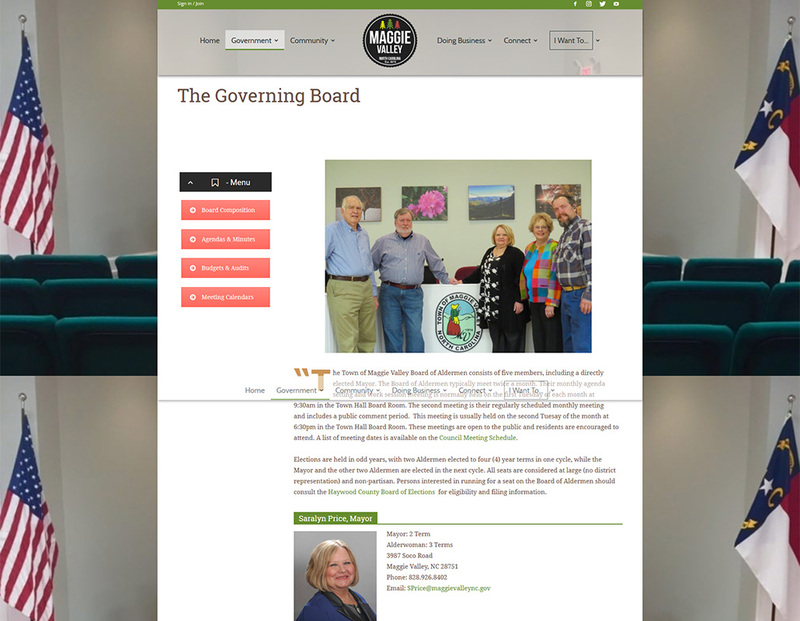 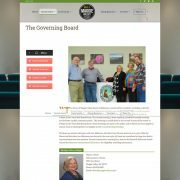 The Town of Maggie Valley had an outdated website that was difficult to edit. 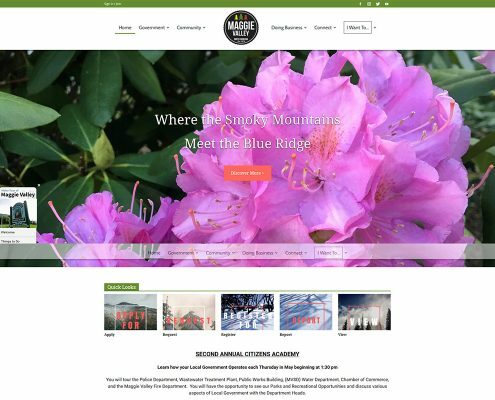 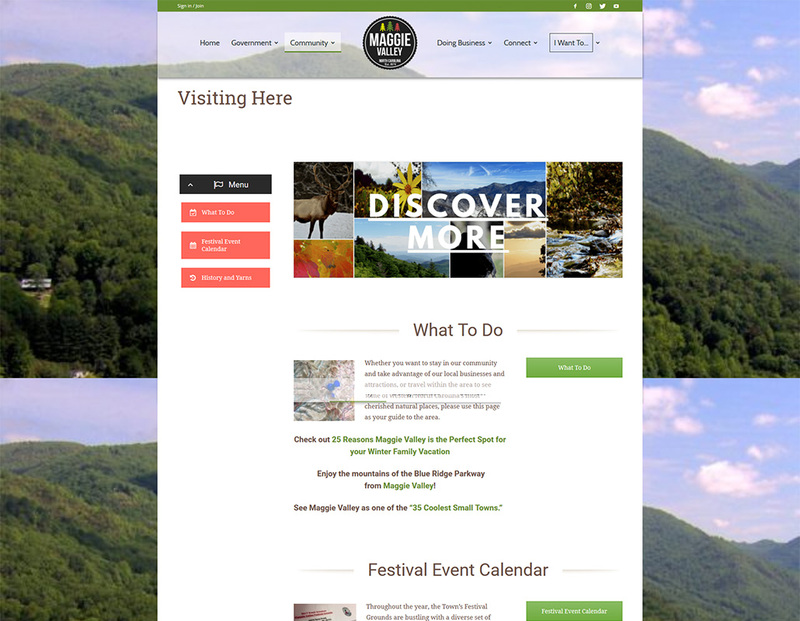 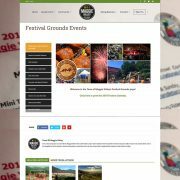 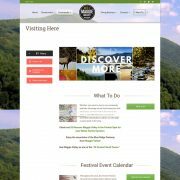 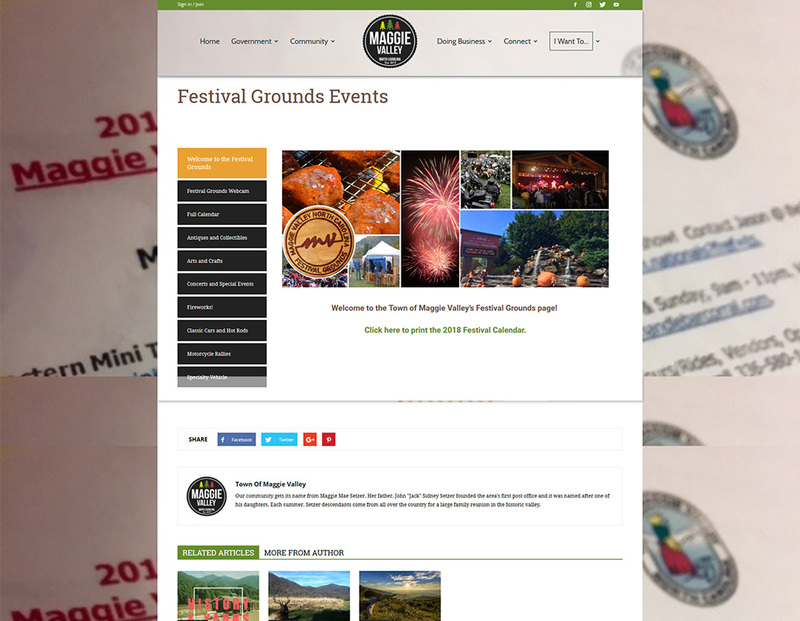 They needed something more contemporary, mobile-ready, and able to showcase the beautiful views and exciting events of Maggie Valley, NC. 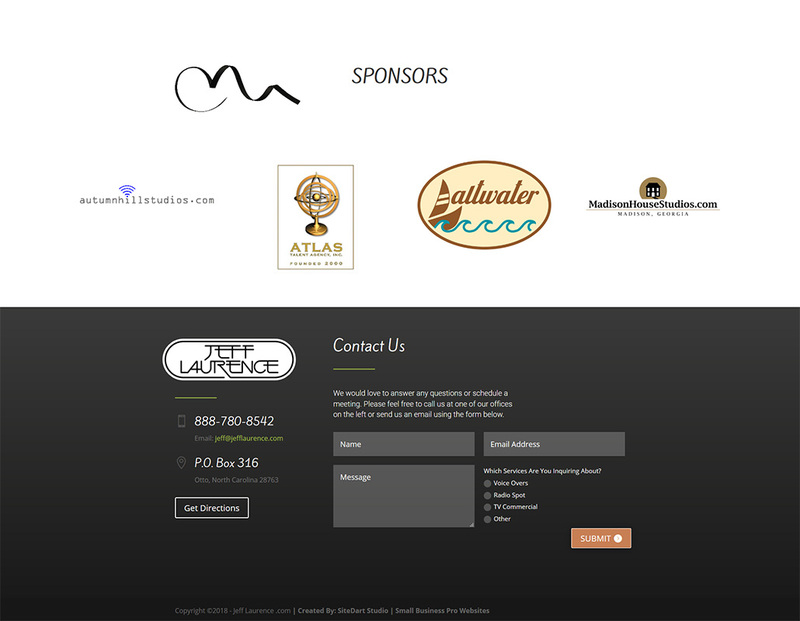 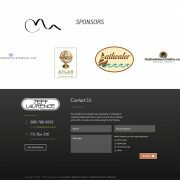 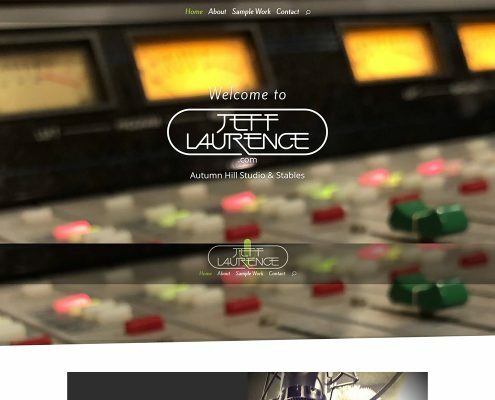 Jeff Laurence needed an easy, straightforward way to deliver promotional content to his clientele. 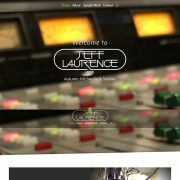 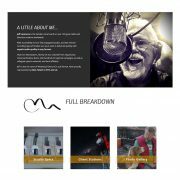 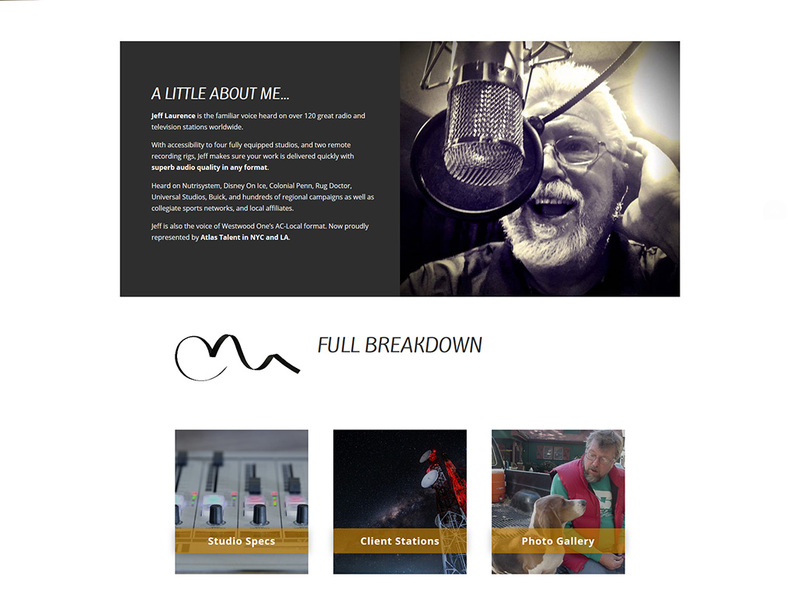 We built Jeff a clean, responsive website that highlighted his work and studio quality. 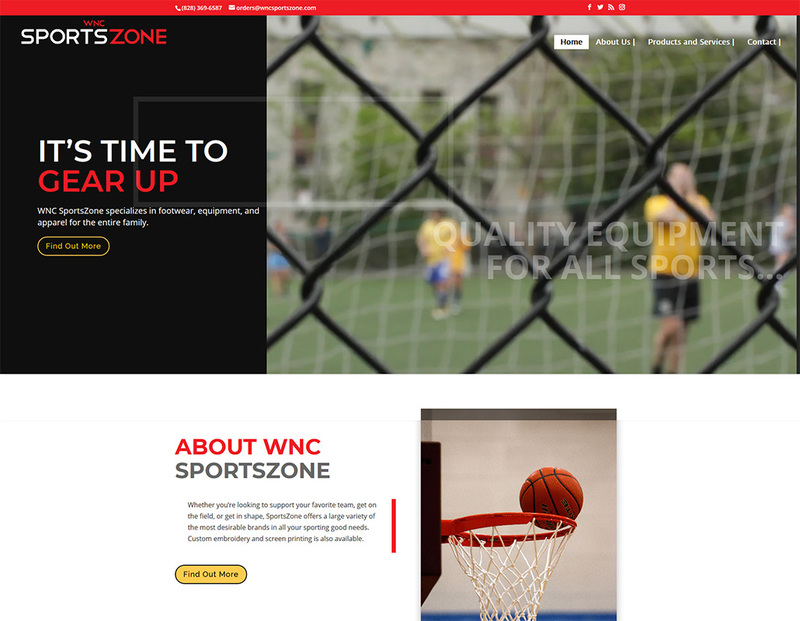 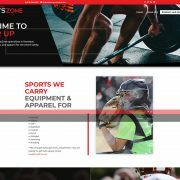 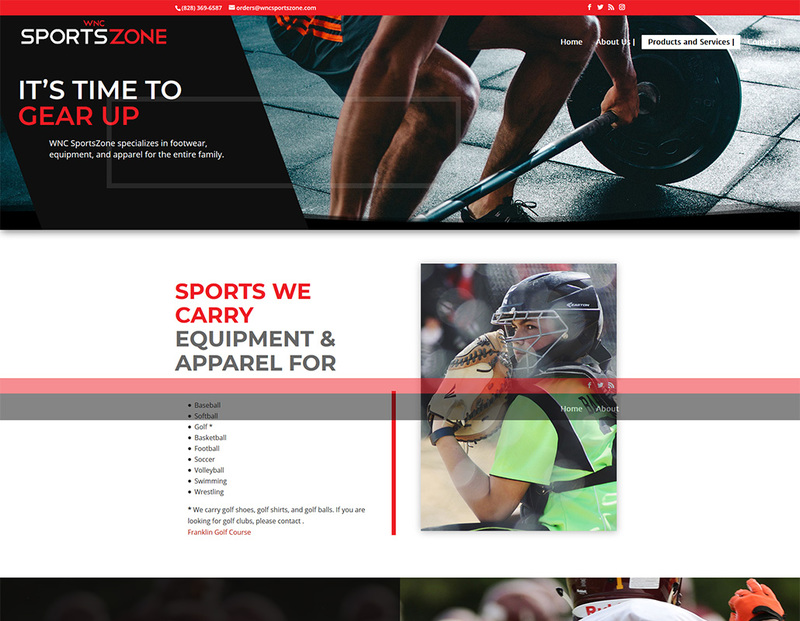 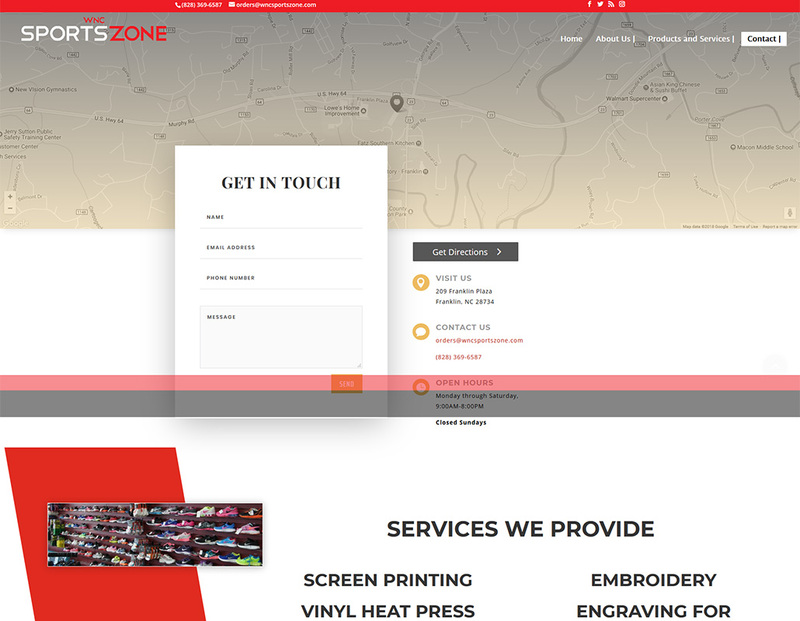 WNC Sports Zone needed an attractive, responsive, modern website to showcase their services. 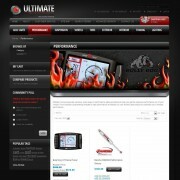 The website needed to be mobile-ready, easy to update, and able to highlight all brands available. 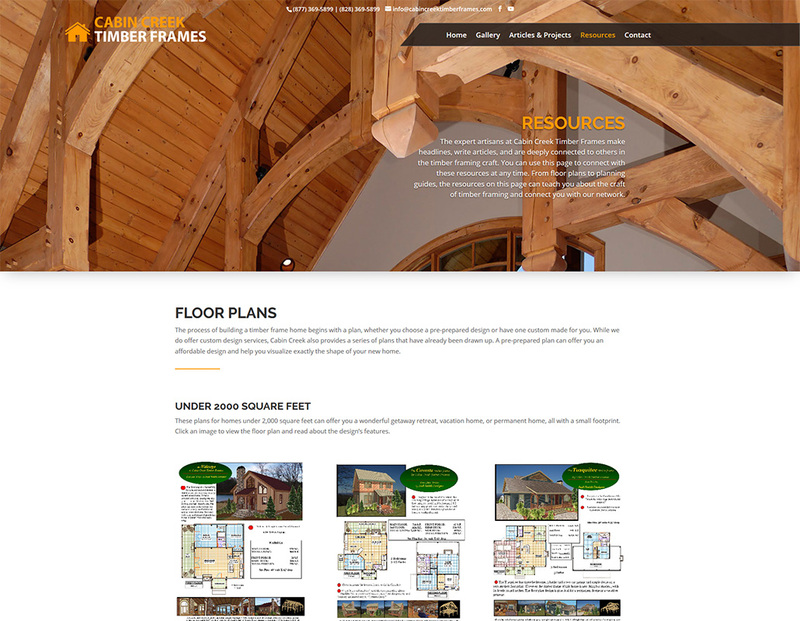 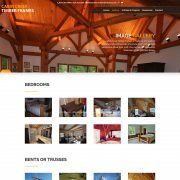 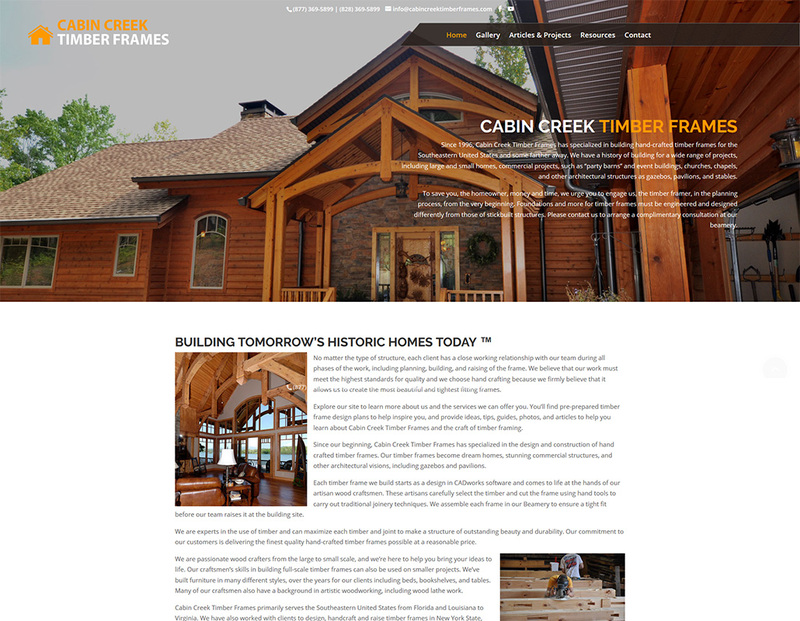 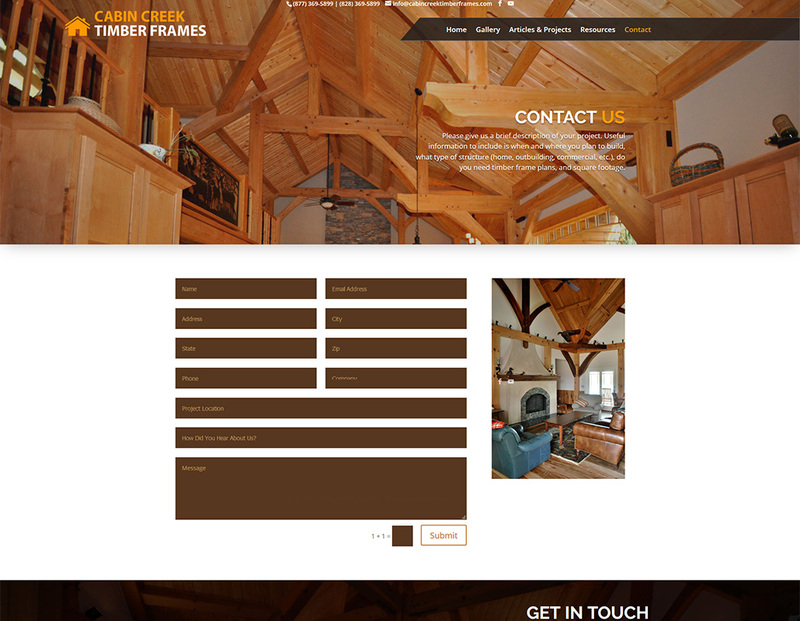 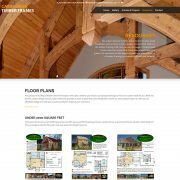 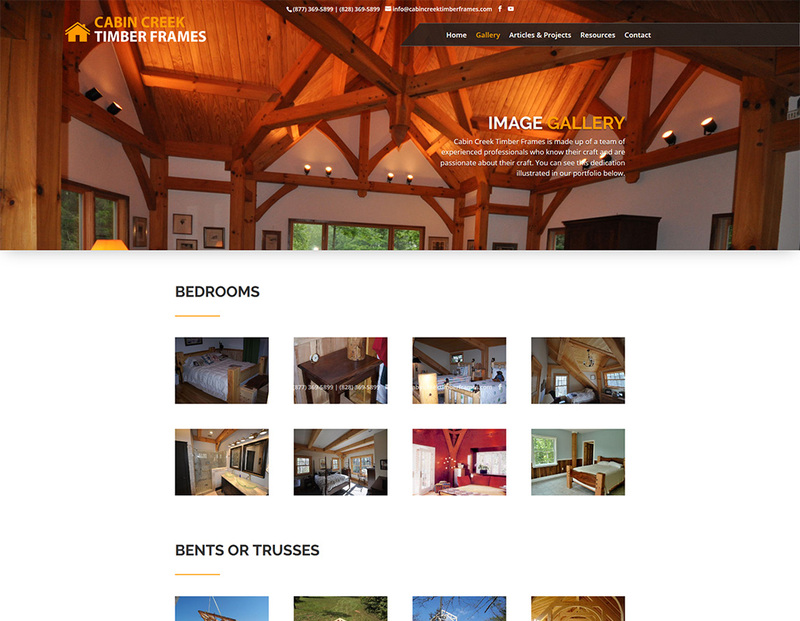 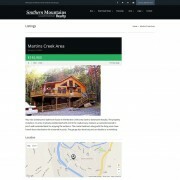 Cabin Creek Timber Frames had an older website that wasn’t displaying well on mobile devices and was not easy to update. 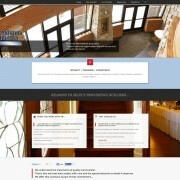 They came to us for a more contemporary mobile-ready design, as well as a tighter structure for content. 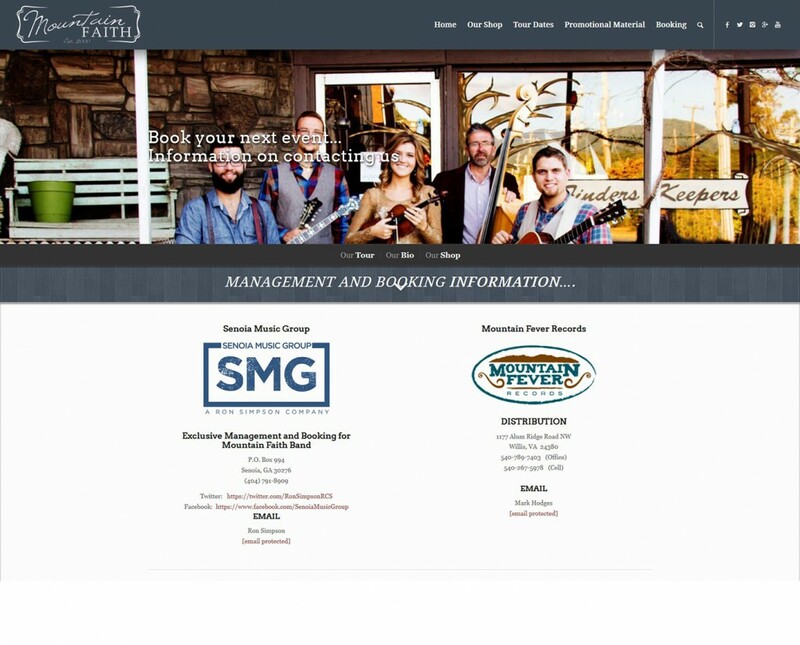 Mountain Faith Band, a local WNC bluegrass band, had a surge in popularity recently thanks to appearances on America’s Got Talent (AGT). 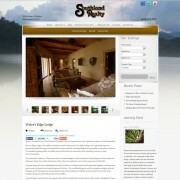 Progressing to the semi-finals in the competition led to their website traffic increasing 10 fold. 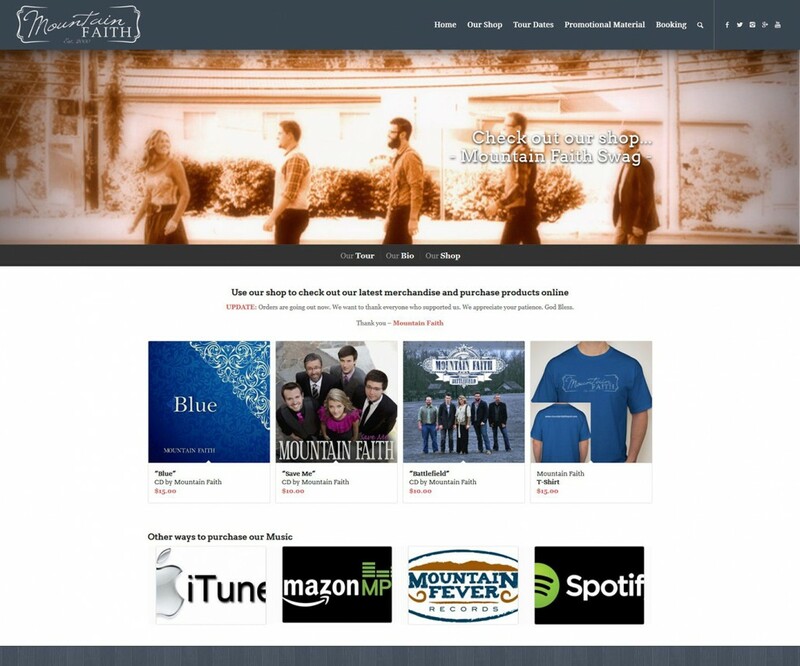 As well, Mountain Faith Band’s website was not aging well. 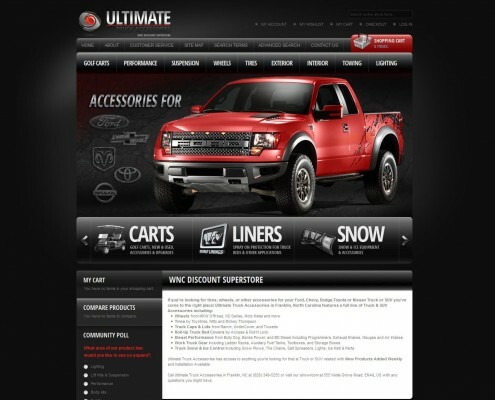 This led to many website outages. 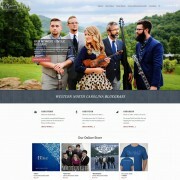 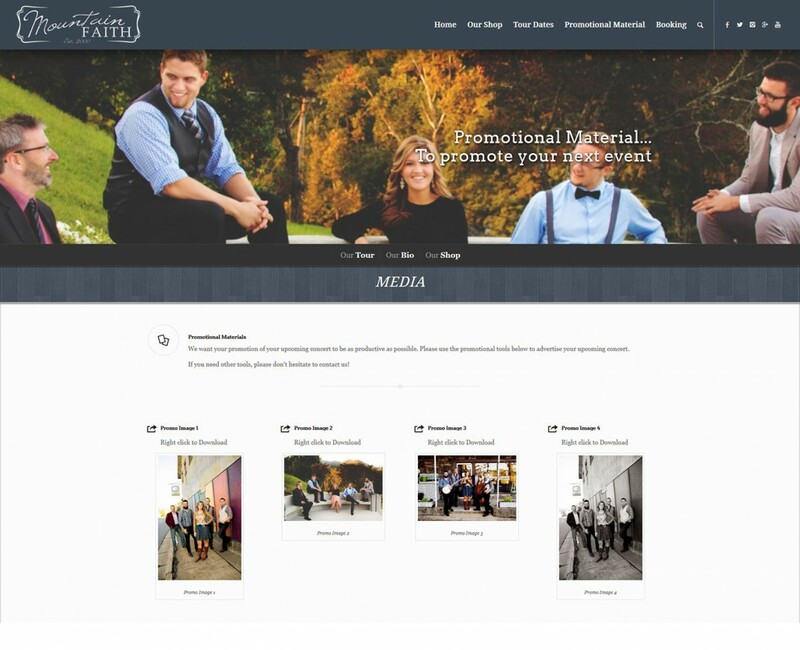 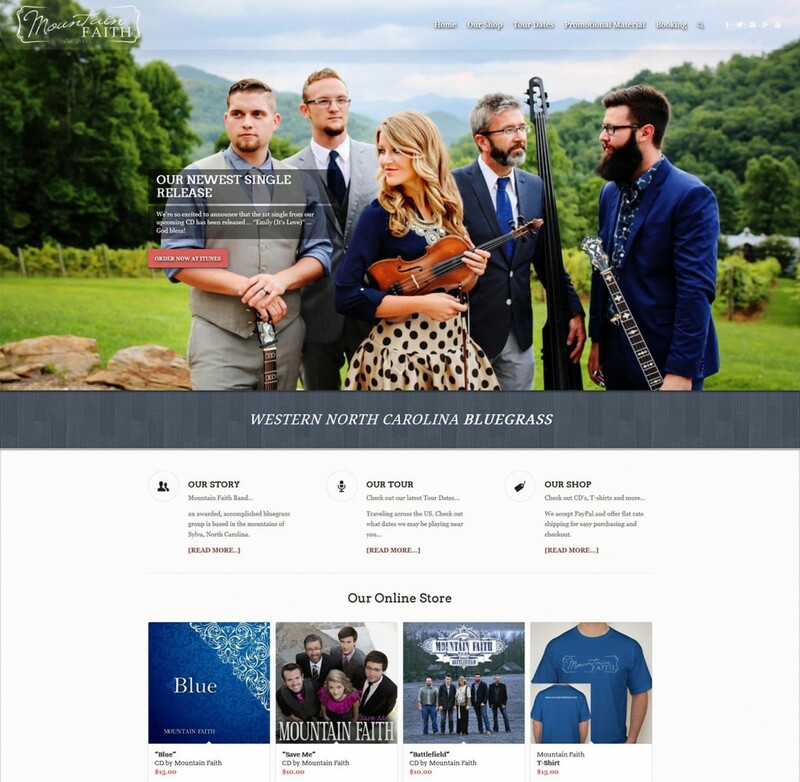 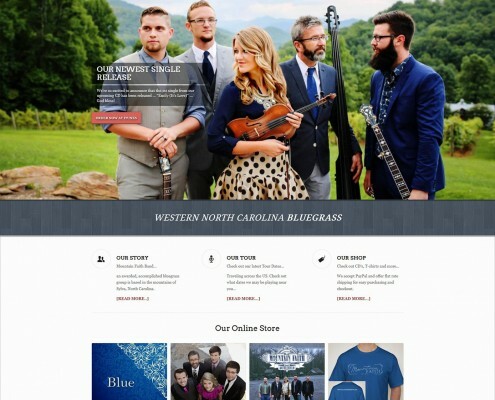 Mountain Faith Band came to us needing a modern update to their site, as well, there was a need to track new orders they were receiving…and they needed the site in 3 days to be prepared for their next appearance on AGT. 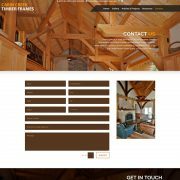 We used SiteDart Studio’s in house website tools to quickly generate an updated design using the latest website trends, and launched in the time allotted. 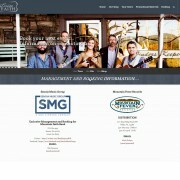 The site experienced a 100% uptime during their next appearance on AGT. 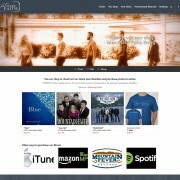 They also enjoyed a large influx of musical merchandise purchases and were able to fill the orders successfully. 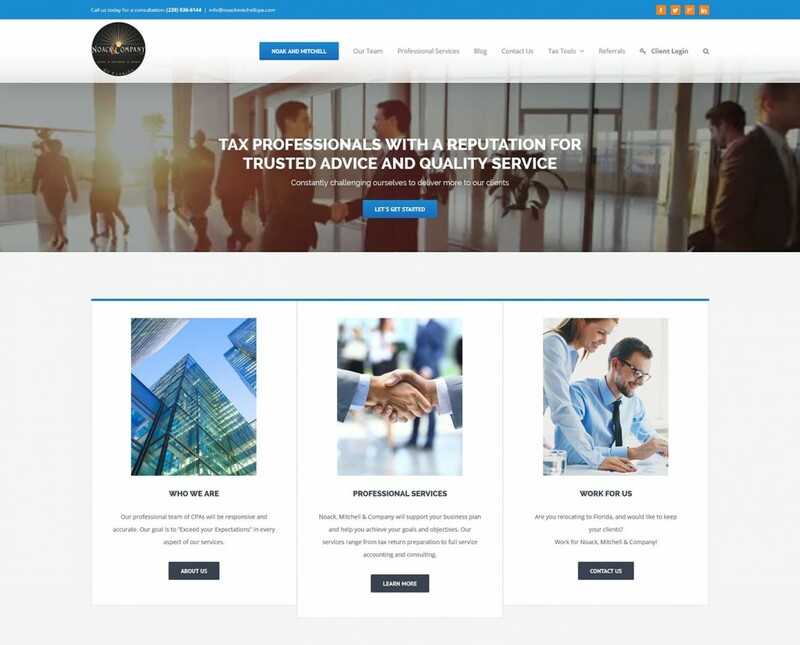 Noack, Mitchell & Company needed a new website design, and the responsive capabilities that come along with our CMS development. 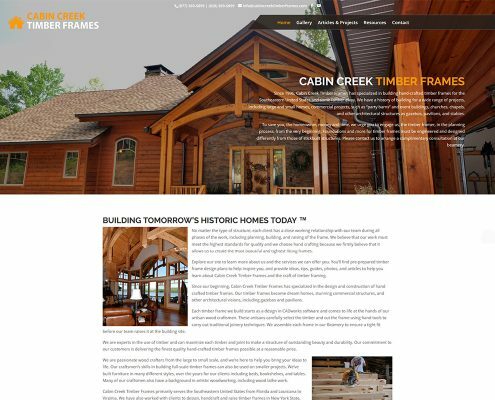 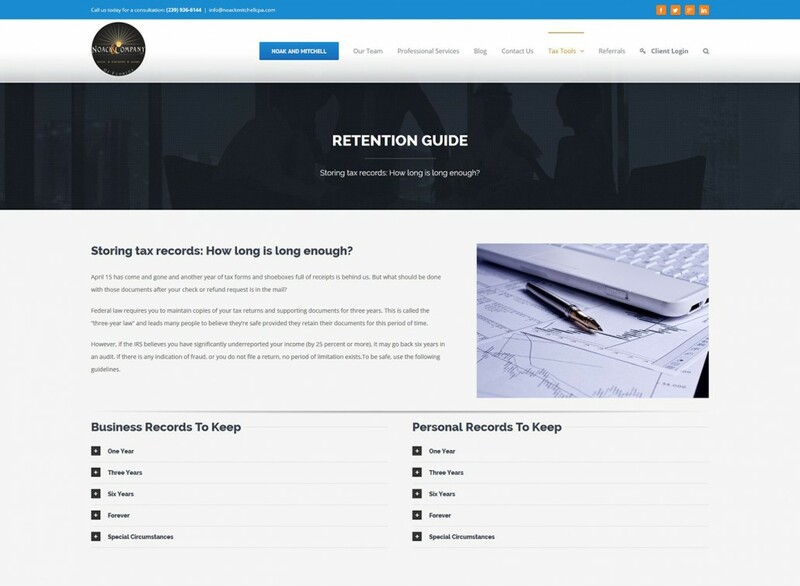 We condensed content, restructured the navigation, and gave the business an all around professional redesign more fitting for the company. 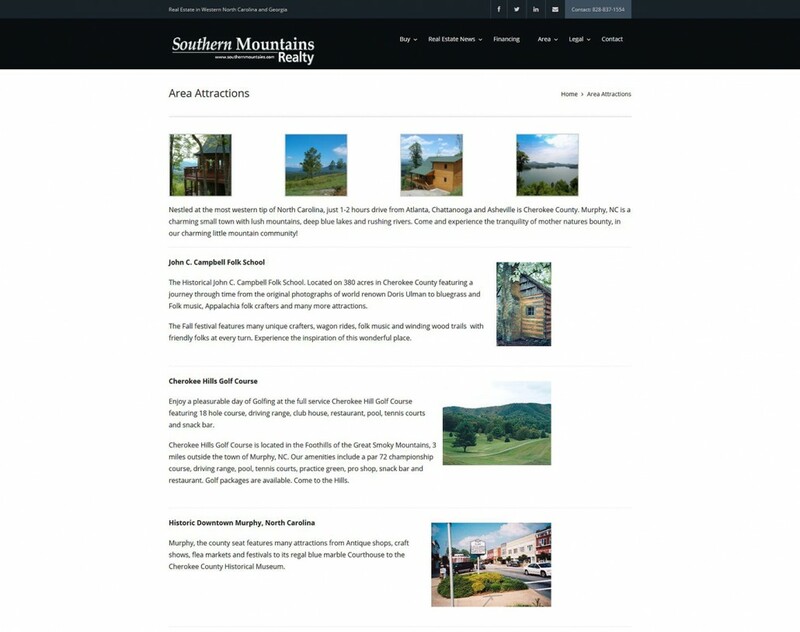 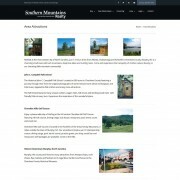 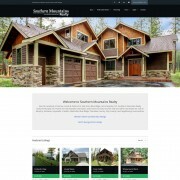 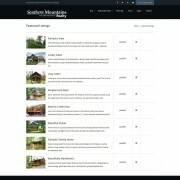 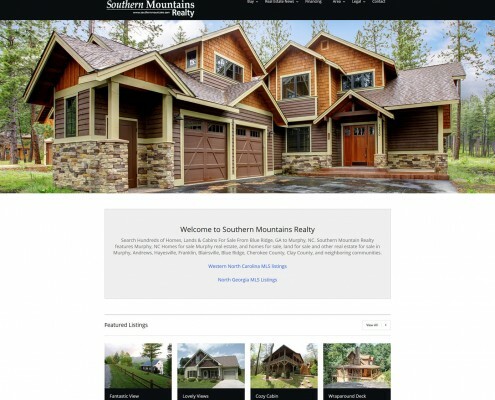 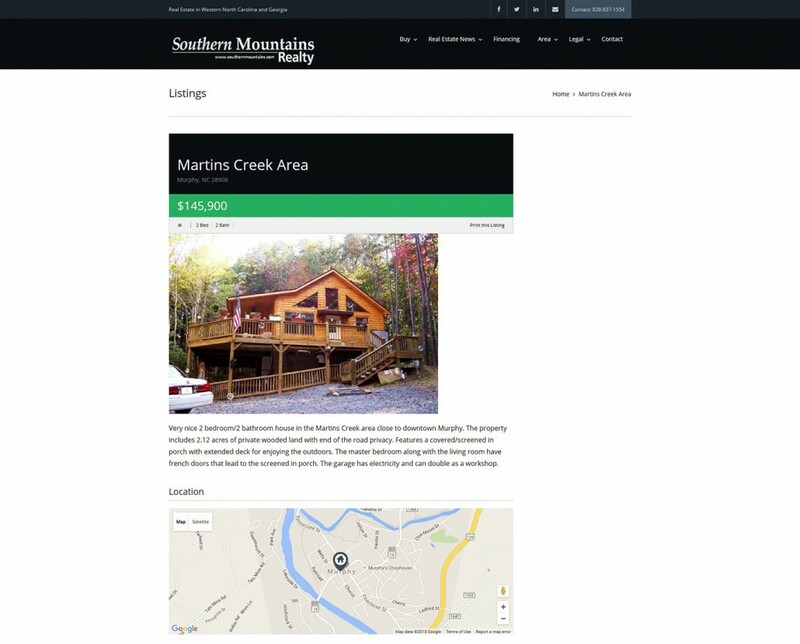 Southern Mountains Realty had an older website, which was difficult to update and not mobile-friendly. 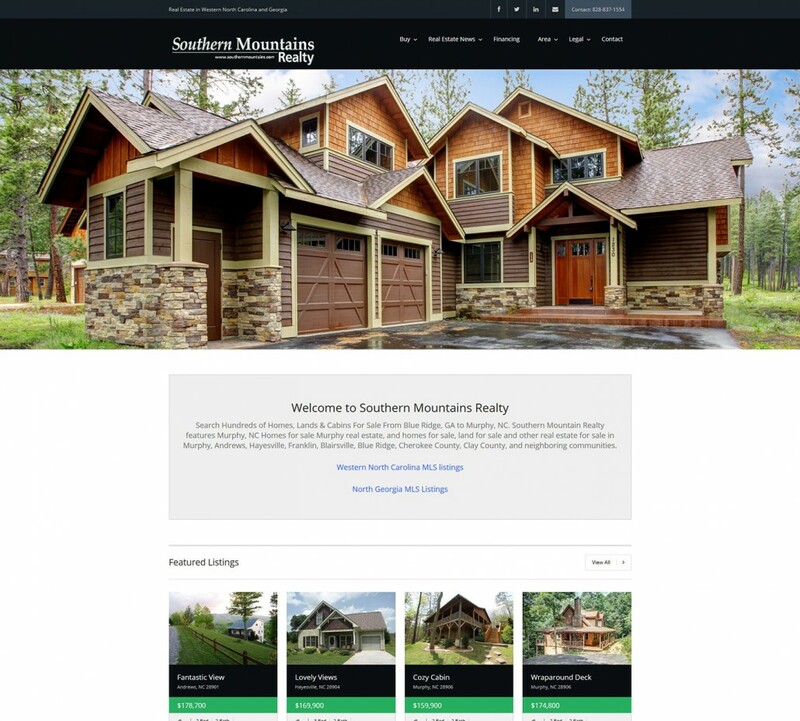 We built a new WordPress CMS website that was fully responsive, optimized all content for search engines, and readied all areas for future development. 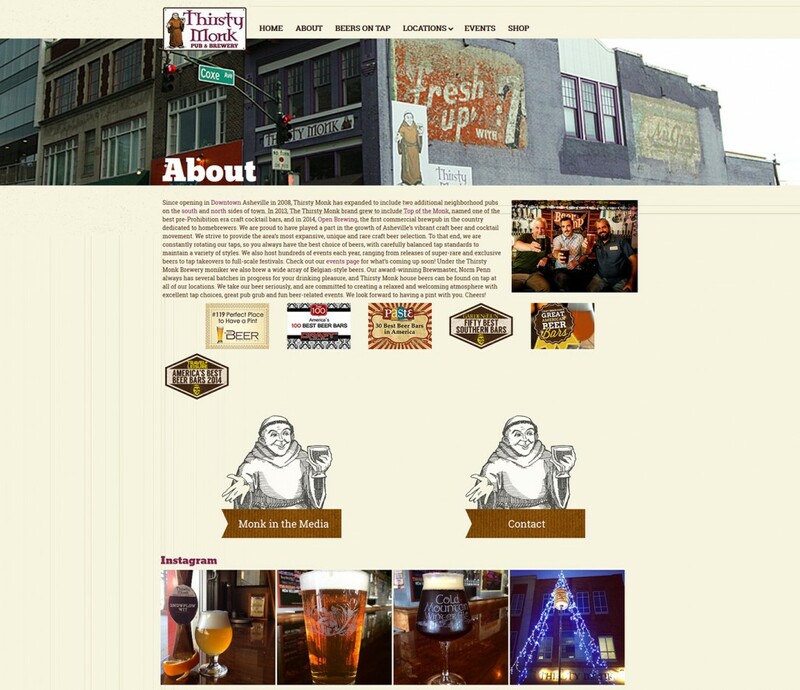 Thirsty Monk is a unique & popular brew-pub in Asheville, NC. 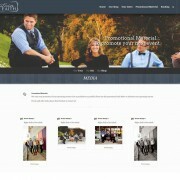 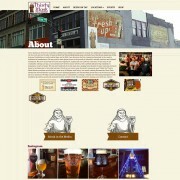 They needed a website design to match the charisma of the Monk brand. 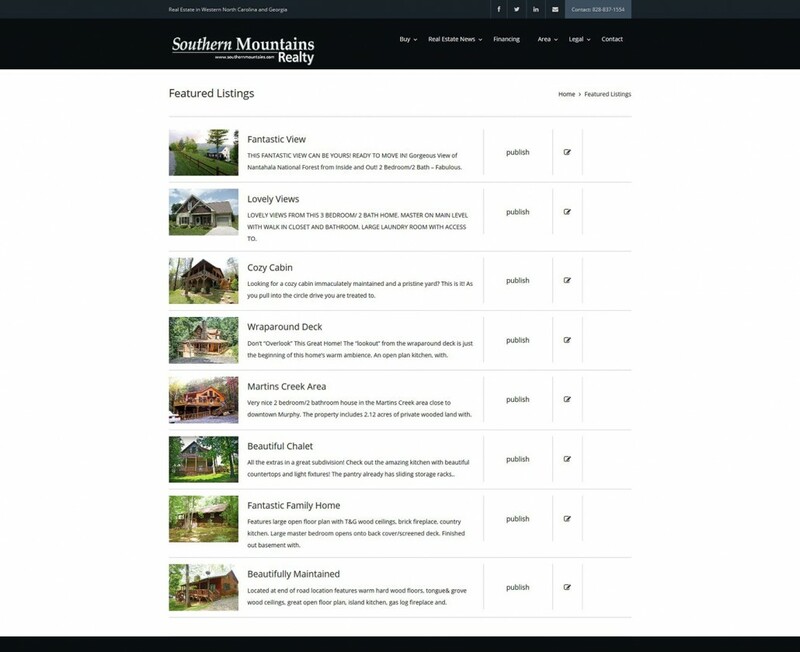 We designed with that personality in mind, and built in custom features to allow for in-house updates. 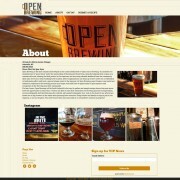 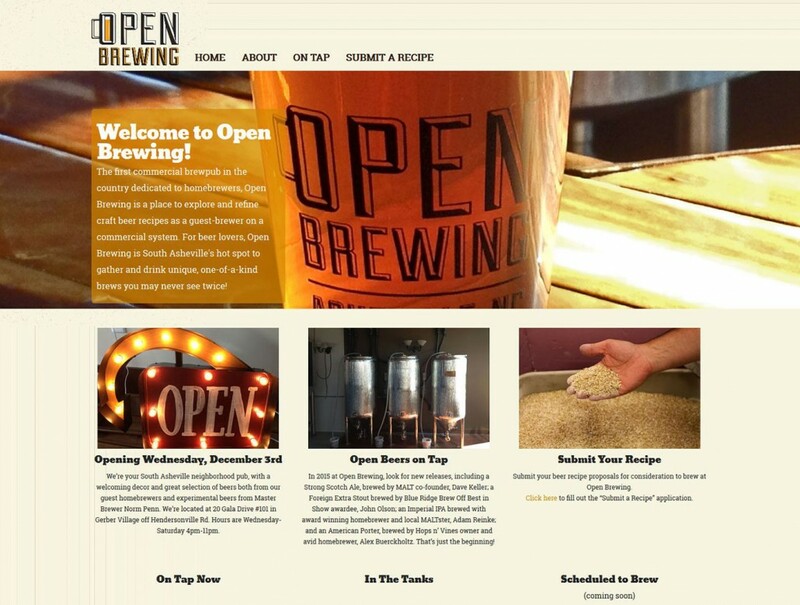 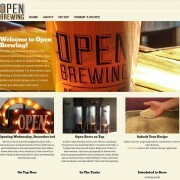 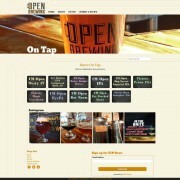 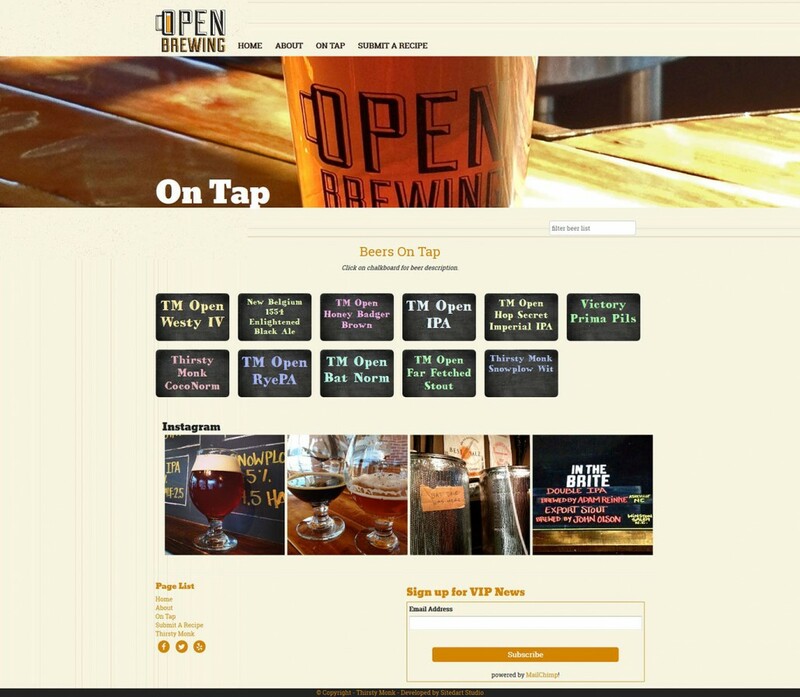 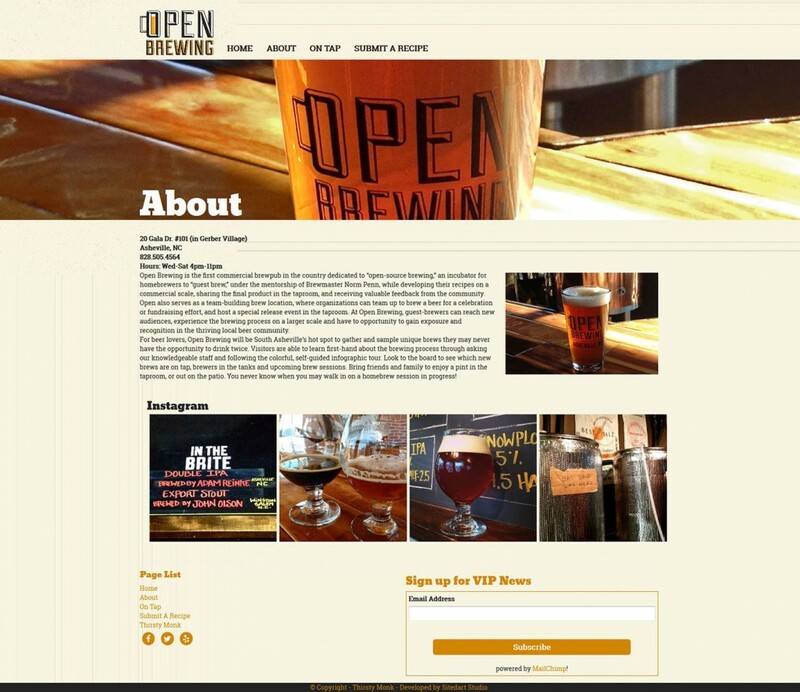 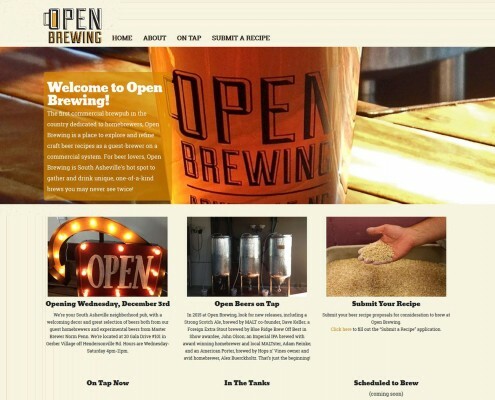 Open Brewing was a great idea that needed a useful and fun web presence. 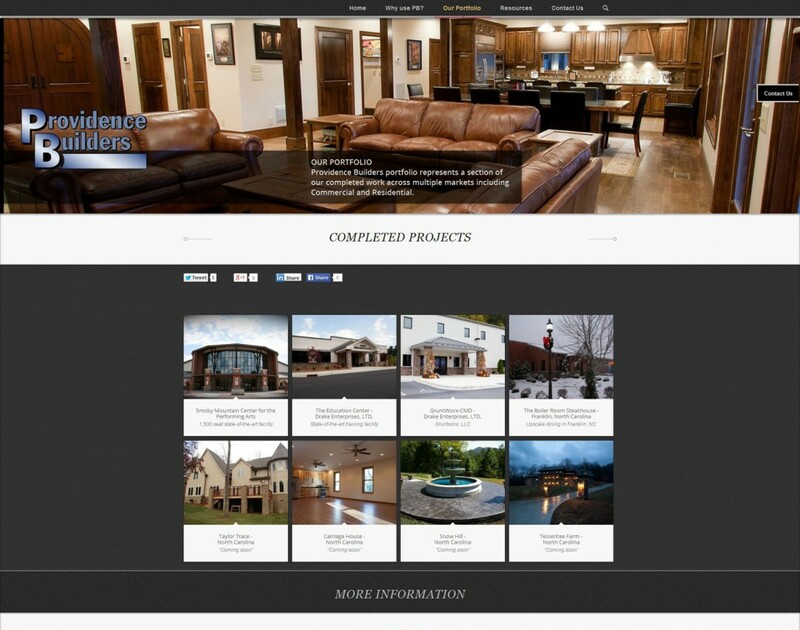 We listened to the owner’s ideas, and got to work. 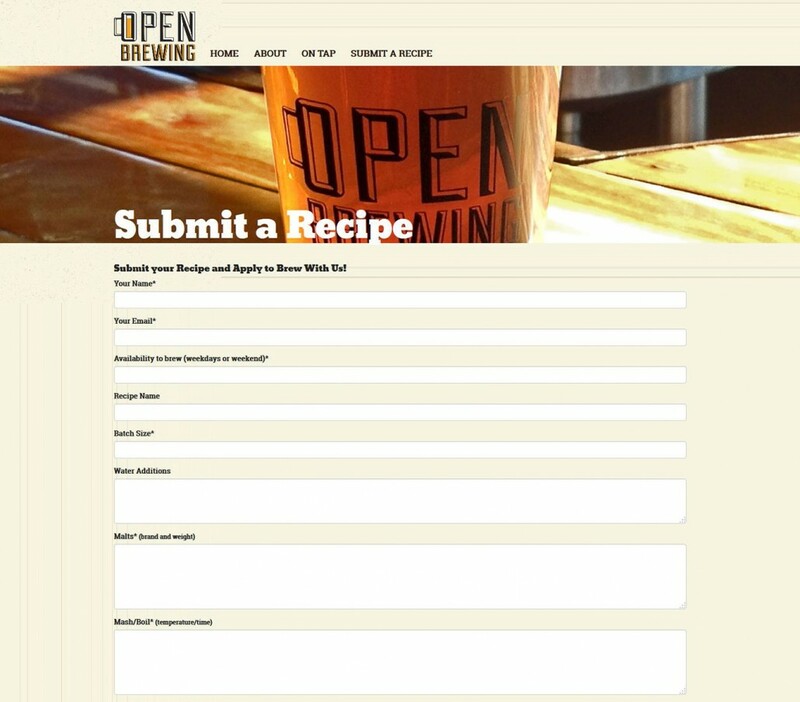 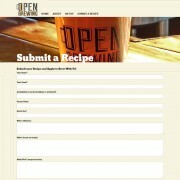 The Open Brewing website showcases the newly created craft beers, and allows guest-brewers to submit recipes. 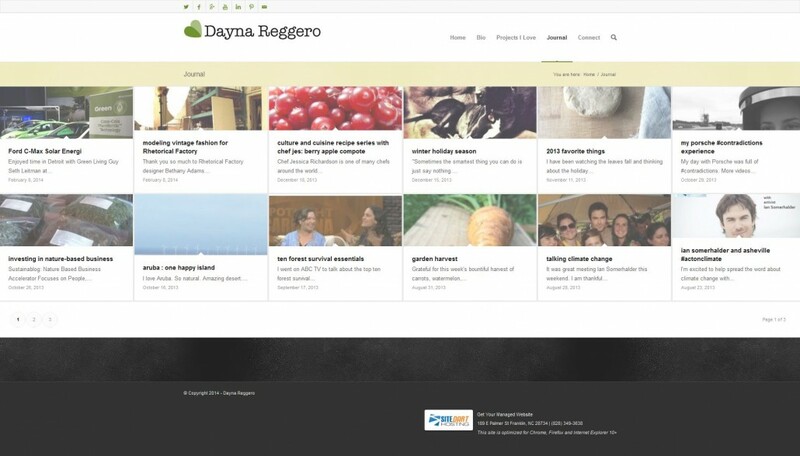 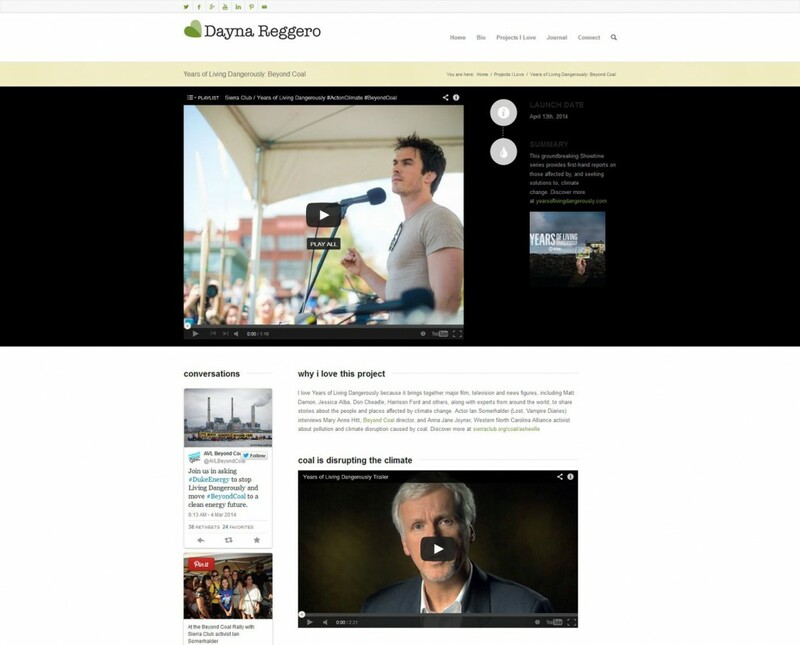 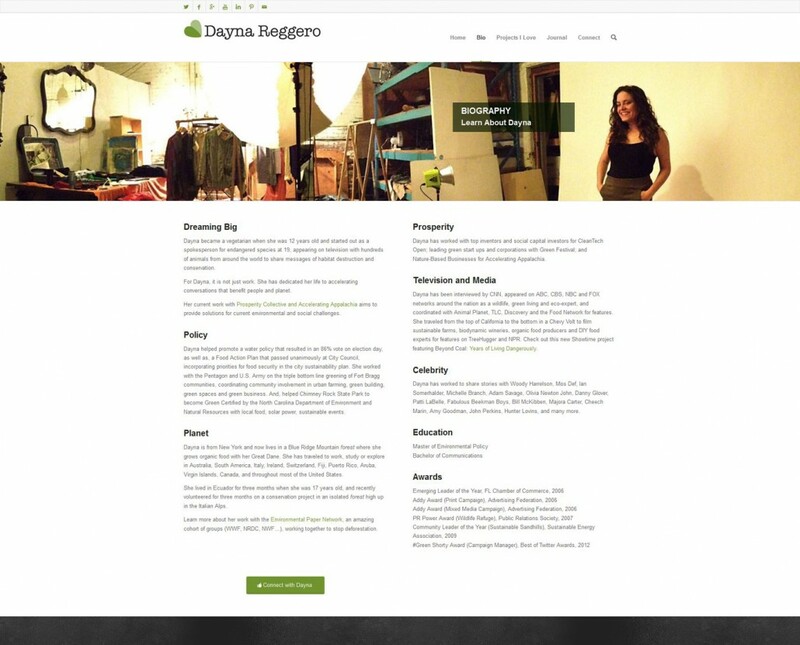 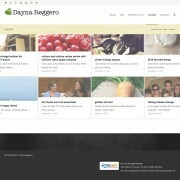 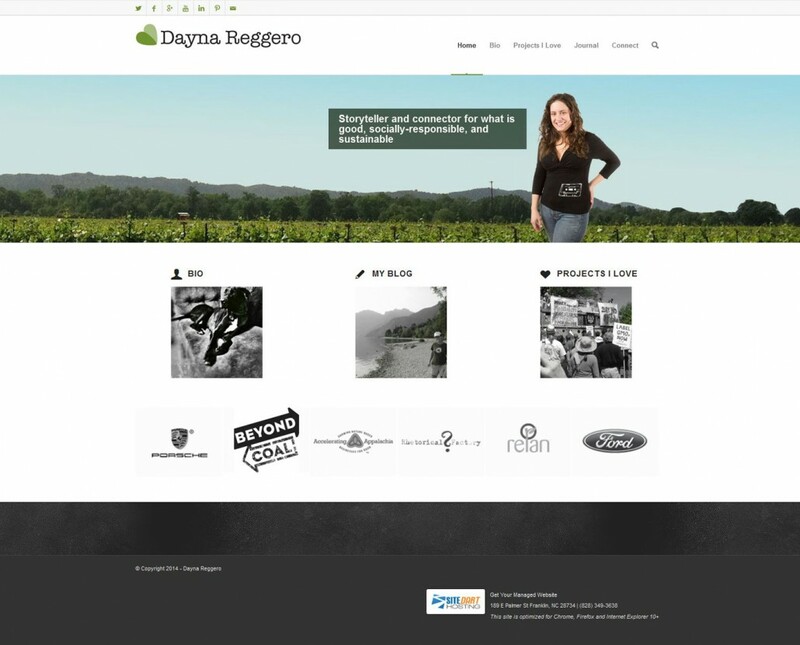 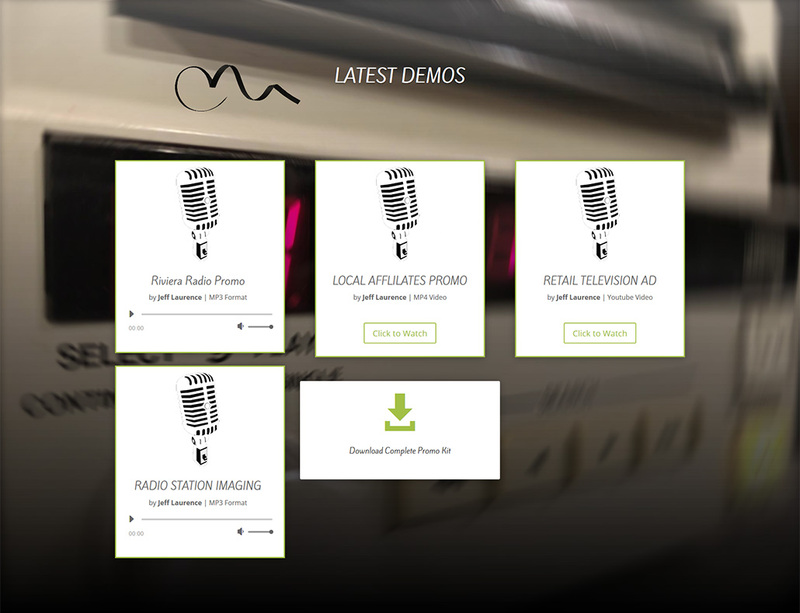 Dayna Reggero needed an attractive, clean, and inviting website to showcase her projects. 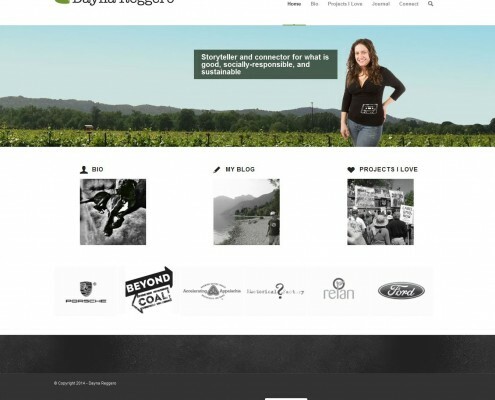 The website needed to be mobile-ready, easy to update, and able to highlight the impact of her activism. 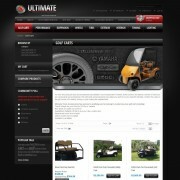 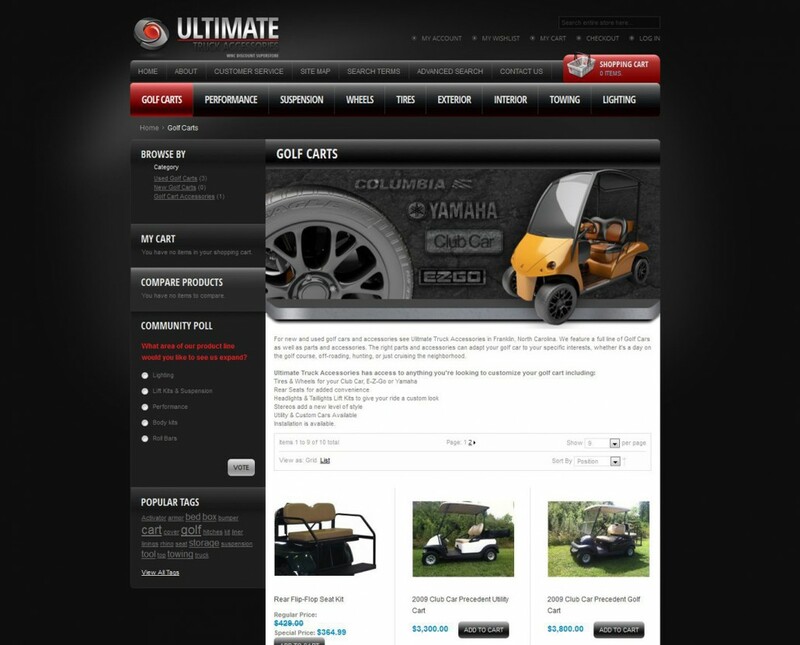 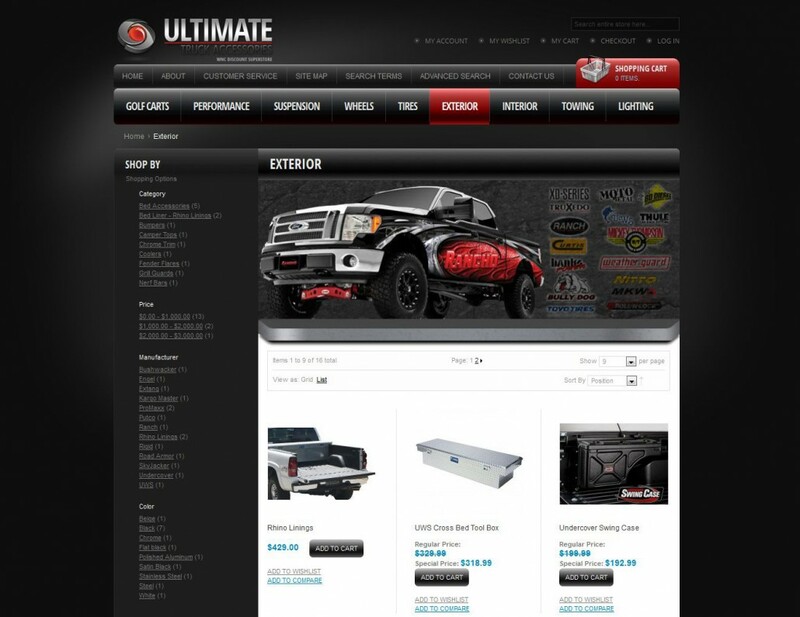 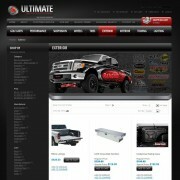 Ultimate Truck Accessories had an older, static website for years, and needed a more functional web presence. 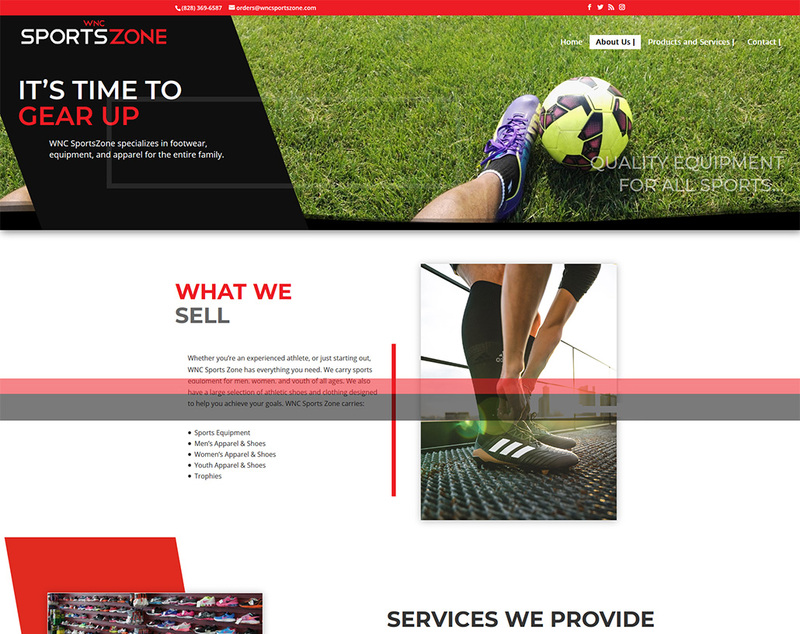 Our team built a custom Magento website to enable needed features like inventory management, online purchasing, as well as a modern design. 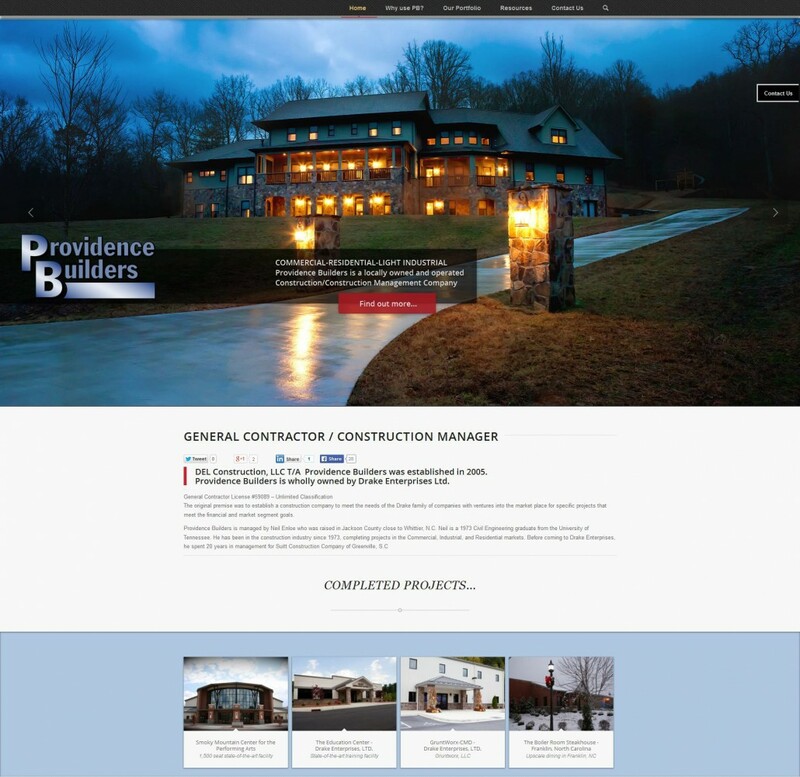 Providence Builders needed a contemporary design. 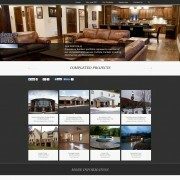 The website needed to be mobile-ready, easy to update, and properly showcase the quality of this company. 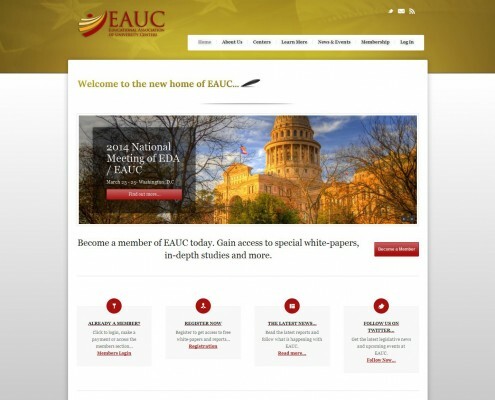 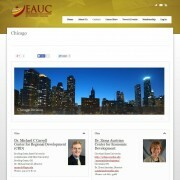 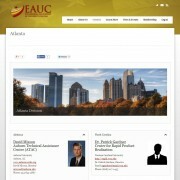 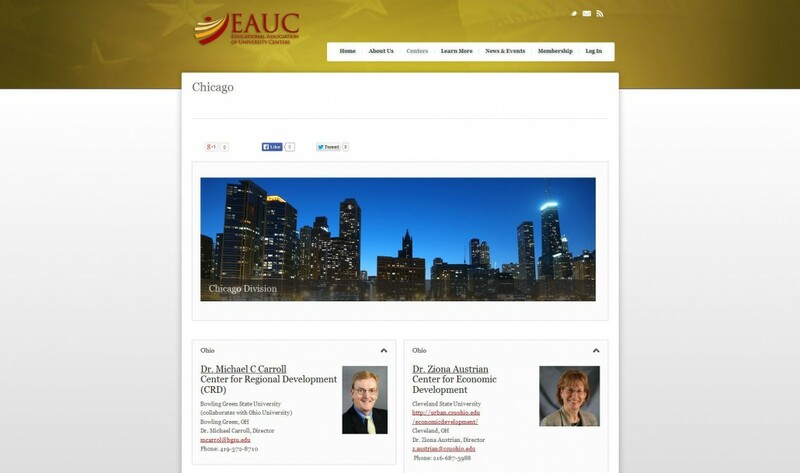 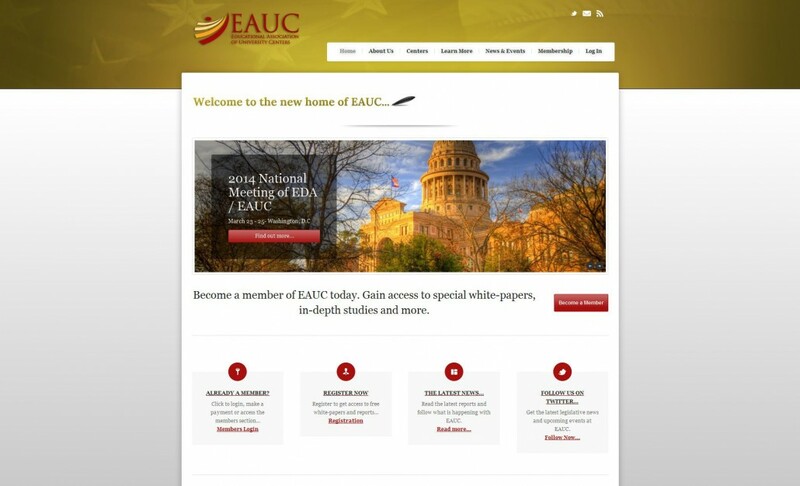 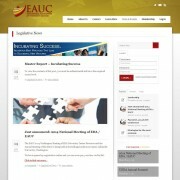 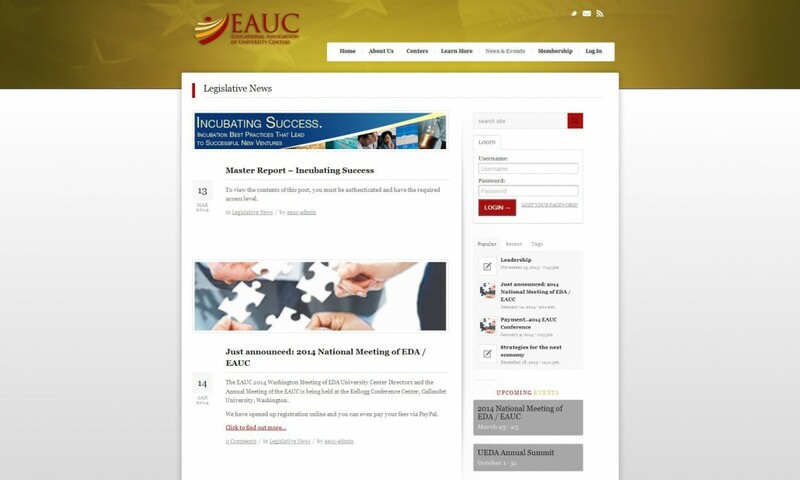 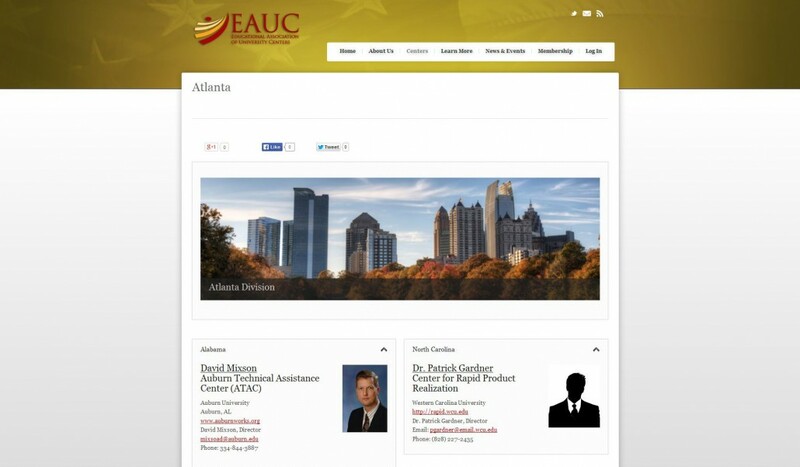 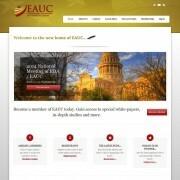 EAUC.org had an outdated website that was difficult to update. 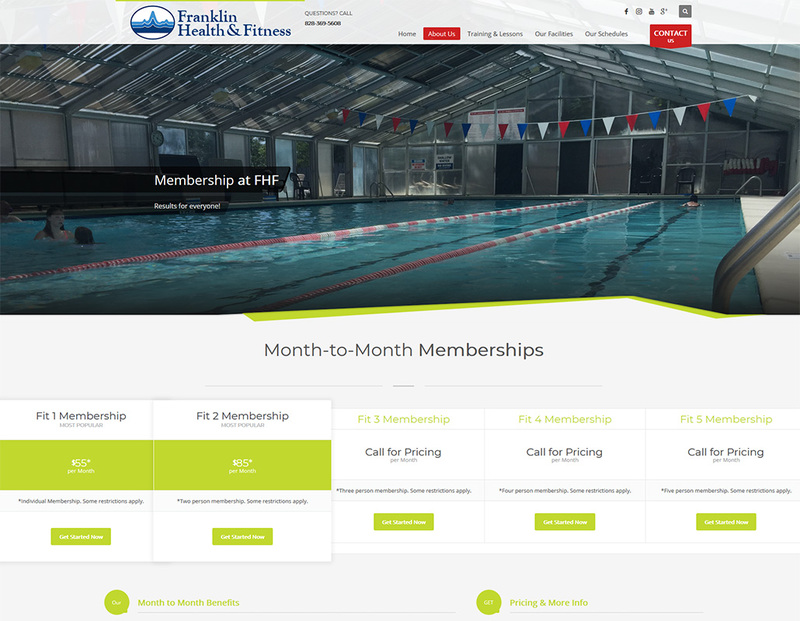 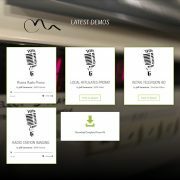 The website needed a cutting edge, mobile-ready design, as well as the ability to purchase membership directly from the website. 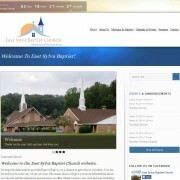 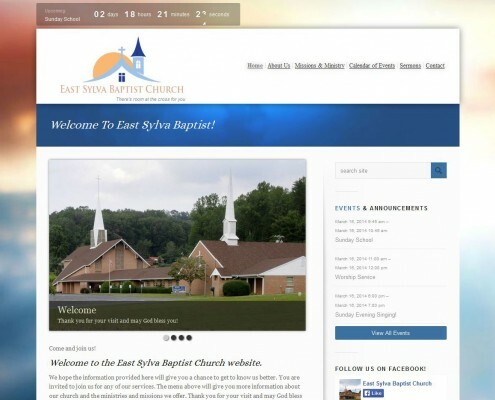 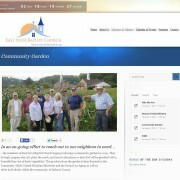 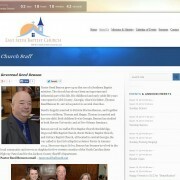 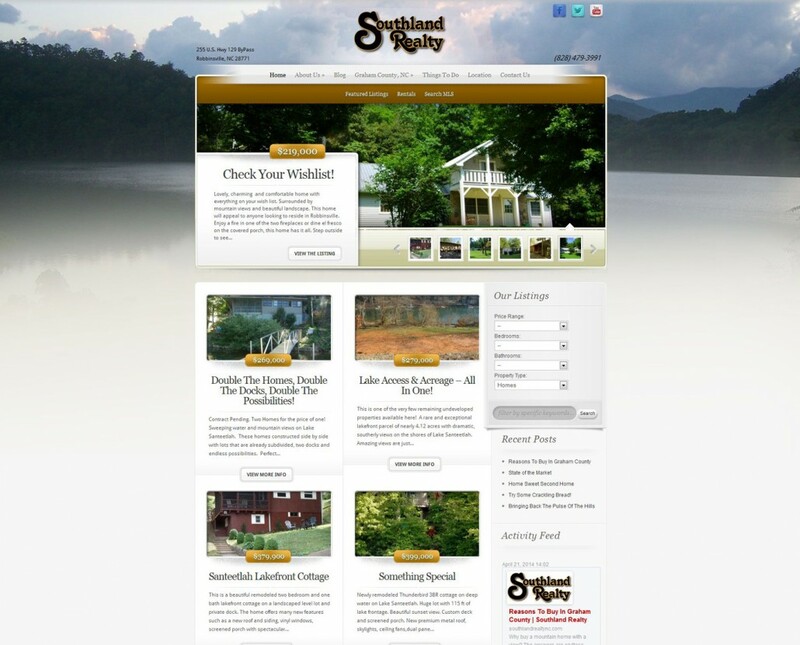 East Sylva Baptist Church was looking for an updated design and a simple way to update their website. 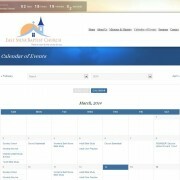 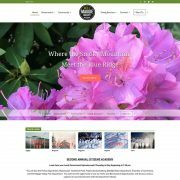 The new website allows them to quickly and easily update their events calendar, prayer requests, and the content for each page. 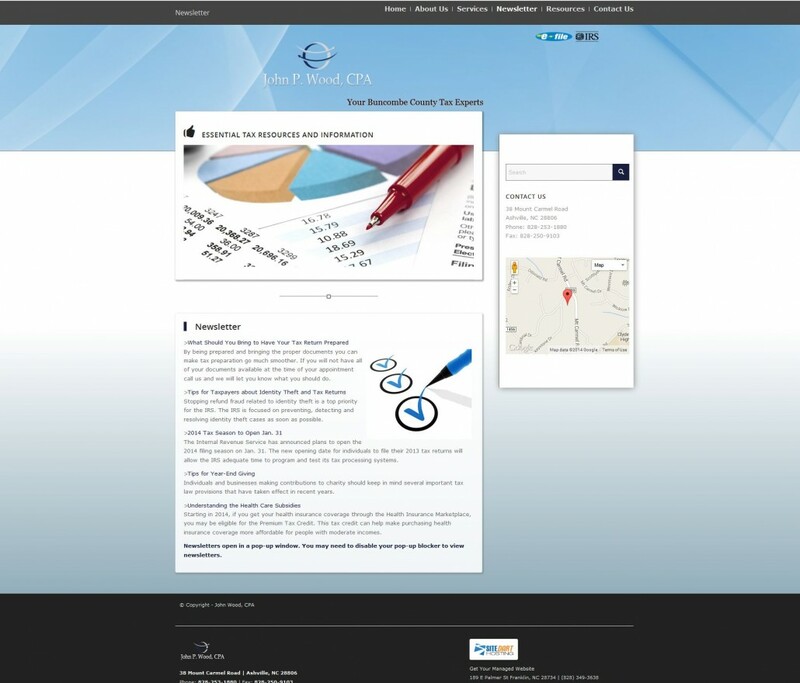 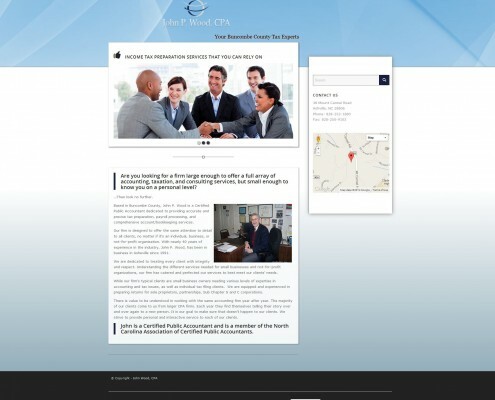 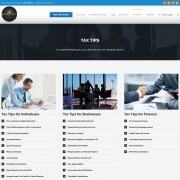 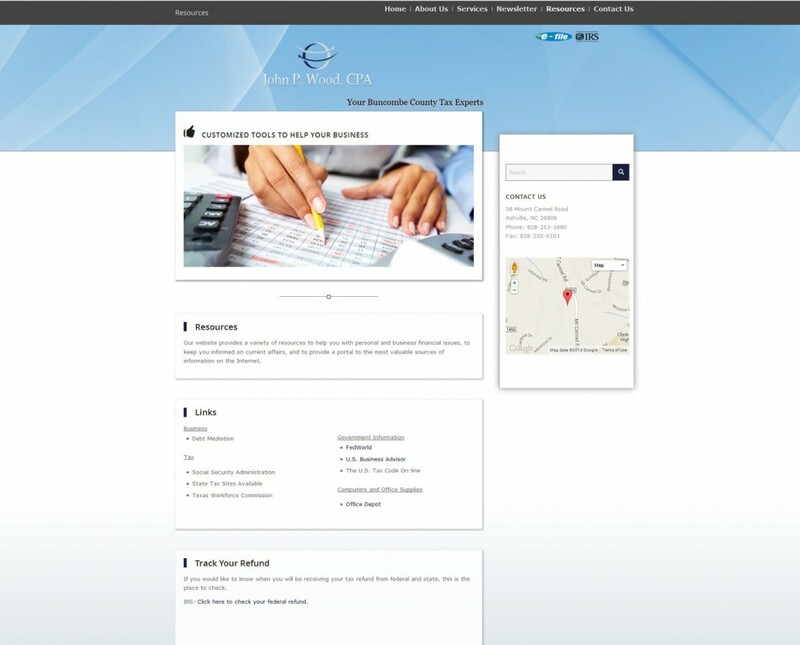 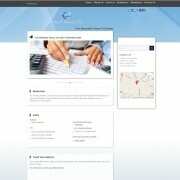 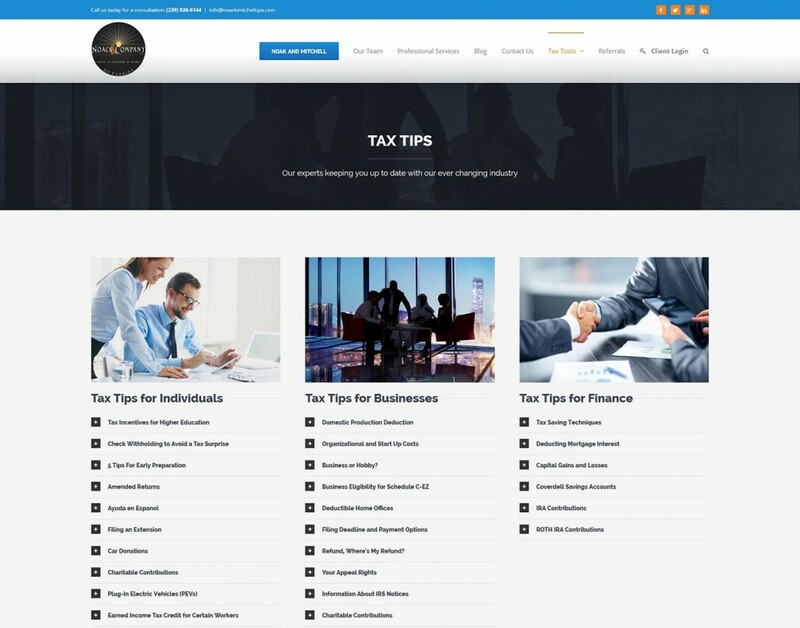 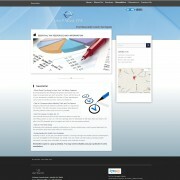 John Wood, CPA needed a mobile-ready website optimized for his area. 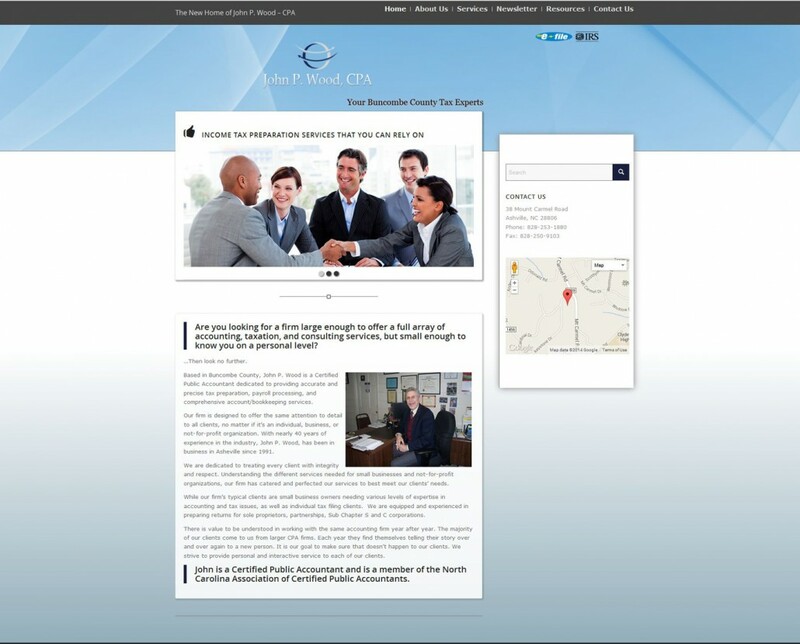 His website design needed to match the level of service he provides to his clients. 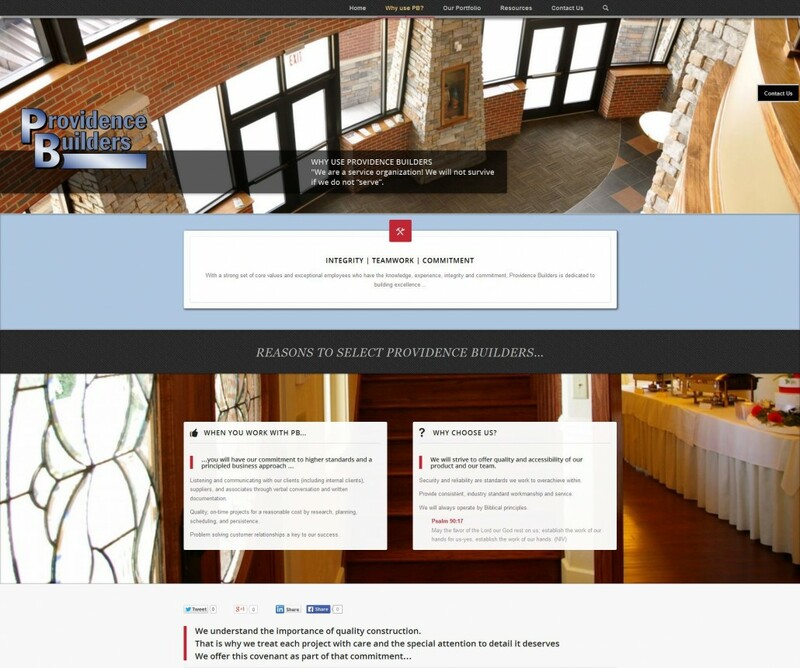 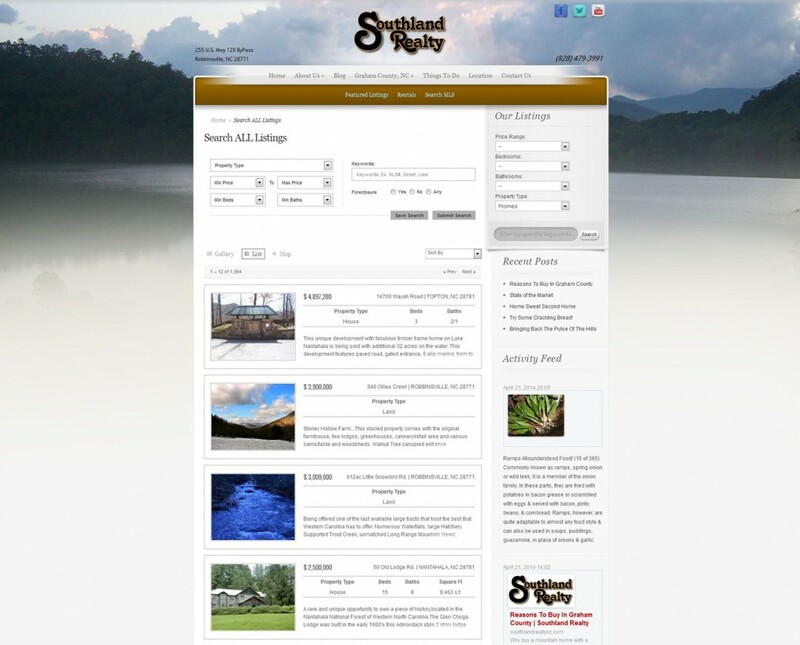 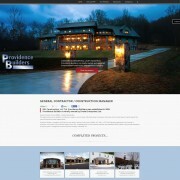 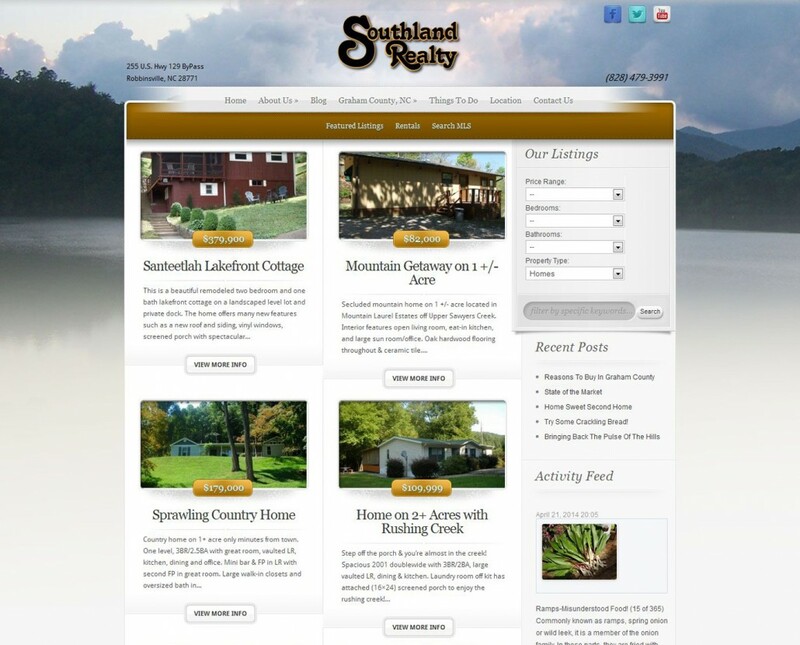 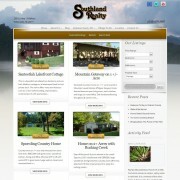 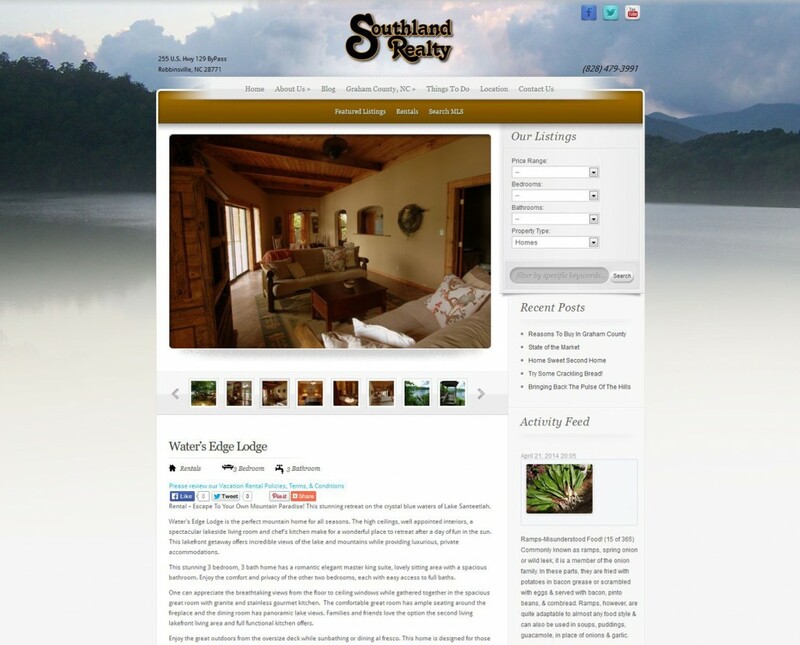 Southland Realty wanted their website design to match the quality of their property listings. 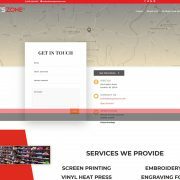 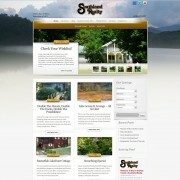 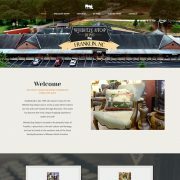 We put together a website design centered around the beauty of the area, and powerful enough to meet their needs.